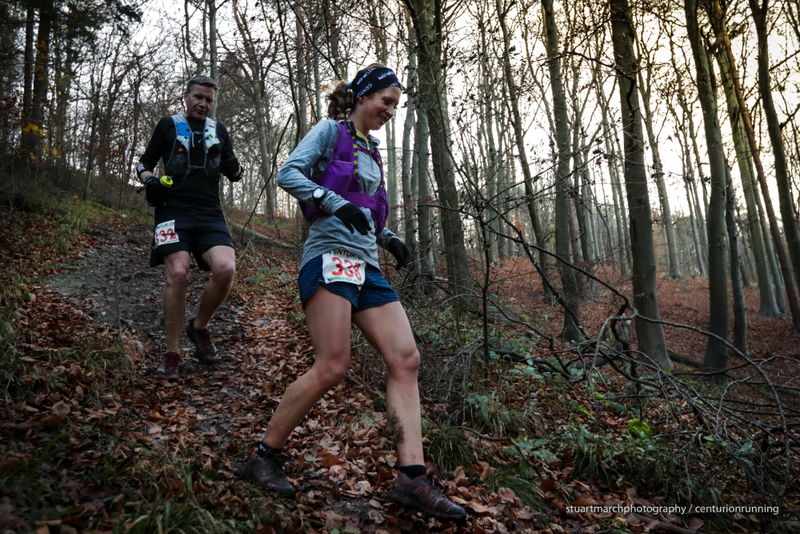 The 2017 Wendover Woods 50 gets underway this Saturday 25th November at 0800. 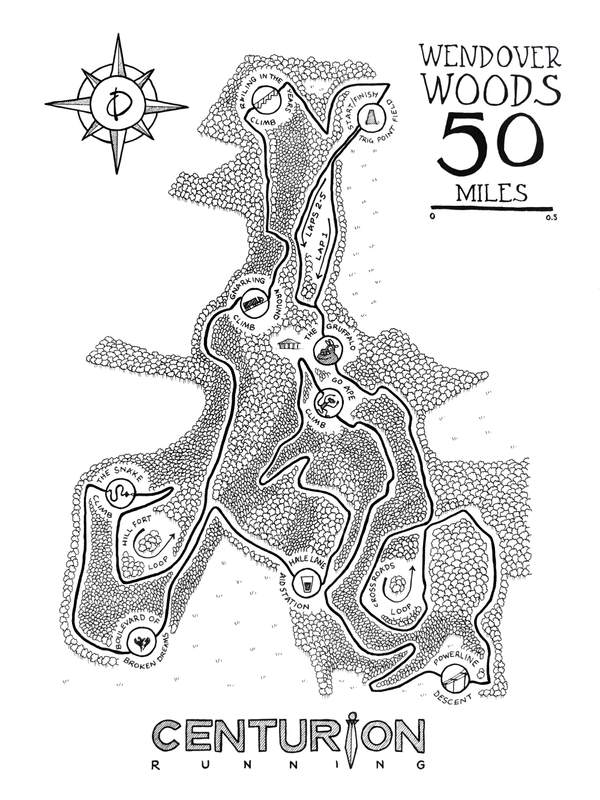 Runners have 15 hours to complete the 5 x 10 mile looped course which features 10,000ft of climb. Although that seems like a large number, the majority of the course is quick with some screaming fast descents. The ascents on the other hand are mostly short and very sharp. The below map which we commissioned artist Owen Delaney to create for the event, brilliantly captures the flow of the course as well as the individual segments that define the key sections. These are on strava as well as being sign posted for the runners on the day. The usual focus on the front runners here makes for exciting competition in both the mens and womens fields. Jon Ellis: Jon comes in to the fourth and final race of the Slam, having won all three previous 50 milers in 2017. He stands on the brink of becoming the first person to complete a clean sweep of victories in a Grand Slam of either 50s or 100s with us and of annhialating the 50 mile Slam overall record. In amongst that he also turned in a classy performance at Davos 80km in July. At this event in 2016, however, he dropped, having led early on. Whether that will be on his mind or purely fire him up even further is another question. UPDATE 21/11 Paul Maskell: Paul comes in as Autumn 100 Champion and having been missed in the scan of the entrants list! His 14:34 there put him in the Top 5 all time finish times for our 100 mile events, and followed a second at the NDW100 back in August. Paul is also the Arc of Attrition 100 mile record holder and ran home winner at this years classic quarter. His marathon time of 2:40 shows he's got speed and endurance for all distances. He will be one to watch here for sure. Neil Kirby: Neil capped off an incredible 2016 with a 2nd place at this event, losing out only to Jeff Pyrah and then only by 3 minutes, coming home in 7:42. He has struggled with health issues in 2017 and has been forced to drop from a few of his key events due to chronic cramping. However. He finally tipped the balance back in his favour a few weeks ago at the Beachy Head Marathon, showing a return to his 2016 form with a 4th in 3:08. Everyone hopes we get to see Neil back on top form here and pushing all the way as he did in 2016. Neil and Jeff chasing hard at the 2016 event, a superb race where the top 2 were separated by only 3 minutes at the end. 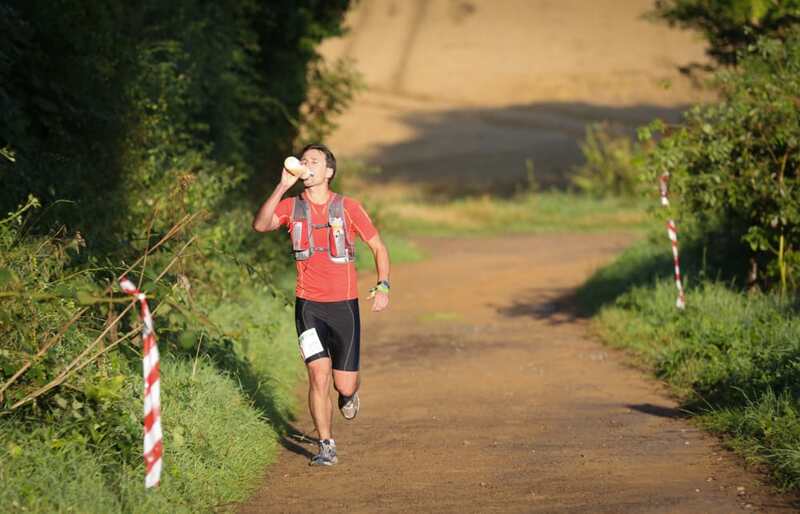 Ry Webb: Ry has a 2nd at the SDW50, a 3rd at the NDW50 and a 3rd at the CW50 behind him so far this year. He's now pushing for his fourth and final podium in this years Slam, which would be a truly incredible feat. Of course, it should be noted that if Jon's race does not go to plan, he needs to finish 1 hour 45 mins ahead of Jon to take the overall Slam title. Paul Russhard: Paul comes in off a 7th a 5th and a 5th in our three 50 milers so far in 2017. Superb consistency. Between the CW50 and this event he also posted a second both days (and overall) in the Pony Express New Forest Ultra. Can he run himself on to the podium in the final race of this years Slam. Alistair Palmer: Another man with some stirling 2017 performances at our 50s to his name. 8th at the SDW50, 6th at the NDW50 clearly he can be competitive again here. Having finished 7th at the CW50 last year this is the only one of the 50s with us that he's yet to complete. 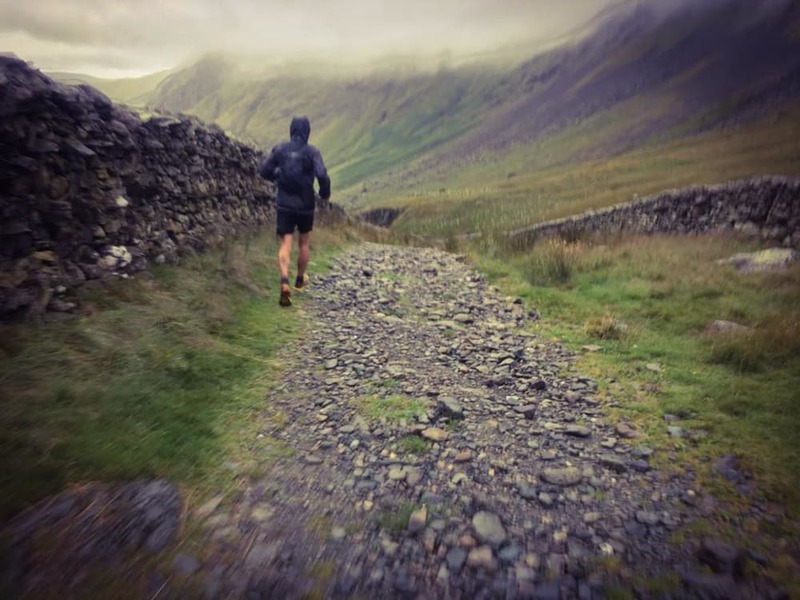 Jonny Suckling: Jonni has a range of ultras behind him across a wide variety of terrains and distances. He is unlikely to compete for top honours here but looks a good bet for a solid top ten finish. Pick of his past results a win at the New Forest 75km last year as well as 2nd at Hardmoors 110, and third at both the Ridgeway Challenge and Cotswold Century in 2015. UPDATE 21/11 Stuart Leaney: We have Dan Afshar at xempo to thank for the heads up on Stuart. New to ultras with this seemingly being perhaps his first, he has a 2:27 marathon PB and according to his profile he set a 50km Treadmill World Record last year though we are not sure of the time. Francis Bowen: Up until a week ago, there were two Kenyan runners on the startling list who had times for the marathon of under 2:10 to their names. Duncan Kibet has sadly withdrawn but as it stands we may still yet see Francis Bowen on the starting line for this years event, subject to obtaining a visa. We have been working with Adharanand Finn to try to get this to happen but it is still a 50/50 call. If we do see a sub 2:10 hour marathoner toe the line here it will clearly be fascinating to watch! Gemma Carter: Gemma comes in with vast experience and a superb year behind her. This years SDW50 champ has also run home with top honours at Boddington 50km, Winschoten 50km and a 4th at Stort 30. Although this will prove a different type of challenge, she's shown she has the speed and endurance to go all the way this year. 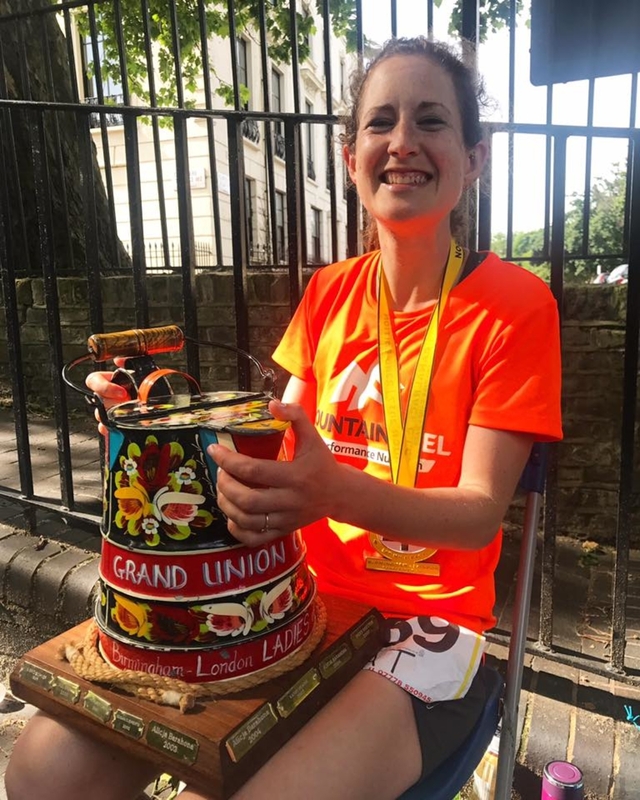 Cat Simpson: This years Grand Union Canal Race Champ and new course record holder has proven this year that she can handle a wide variety of distances and terrain types whilst improving across the board. Things took off for her in 2016, when she ran home 2nd at the SDW100 and then ran a huge 100 mile PB of 17:24 at the Autumn 100 for 3rd. Following on from her breakthrough victory at GUCR, Cat has lowered her half marathon and marathon times as well as securing a solid 5th at the Beachy Head Marathon a few weeks ago in training for this event. She will be running her first ultra in the famous yellow shirt of the Centurion Ultra Team! Charley Jennings; Charley ran home 2nd in Septembers CW50 just a second behind first in what was the third race in her quest for the 2017 50 mile slam. That followed at 12th at the SDW50 and a 3rd at the NDW50. As long as she finishes, and does so over 90 minutes ahead of Sarah Cooke who sits second in the Slam table, she will set a new Slam record and go home this years Slam champion. 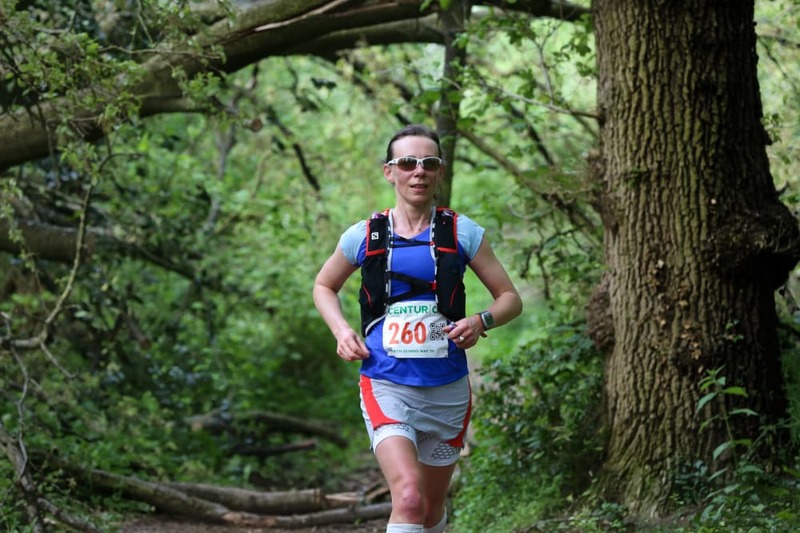 Leanne Rive: Leanne finished 6th at this years SDW100 which followed a superb 2016 where she took home 3rd at the SDW50 before going on to finish the mighty TDG. Clearly distance and elevation change are not an issue for her - she could do very well indeed here. Big thanks as always to our pertner sponsors for their support. Ultimate Direction, Injinji, La Sportiva, Petzl, Hydrapak, Tailwind Nutrition, Gu Energy, Beta Climbing and Lyon Equipment. The format is 5 x 10 mile loops, returning each time to the field in which you will register on race morning. There is one other aid station at 5.5 miles in to each 10 mile loop. So effectively 9 aid stations and then the finish. Remember that whether you have recce'd or not, this course will be marked, re marked and checked constantly throughout the race with the intention that navigation never be an issue for you on course. Nevertheless you must concentrate throughout the race because of the number of turns/ markings you will see. It will be very easy to wander past a marking or a turn if you are in a daydream. Think about the positives, not the challenges. Last year the winners came home in an average of 9 min miling. If it were unrunnable bushwhacking, those kind of times would simply not be possible. The final third of the course is a mixture of challenges which are the signature of this course. We wanted to include features that you can reflect on and try to explain to your mates post race about just how epic they are. There are five climbs on the course that in anyones book are very steep and probably unrunnable for all but a few at the sharp end of the race. The bonus is that these steep climbs are short. In reality the longest they will last is just a few minutes each. BE PATIENT, go easy, hike away. The top will come. Some have some small sections of stairs, you may even need to use a few trees as resting posts along the way. That's ok. From the top you get a nice runnable descent on the other side - of every single one. 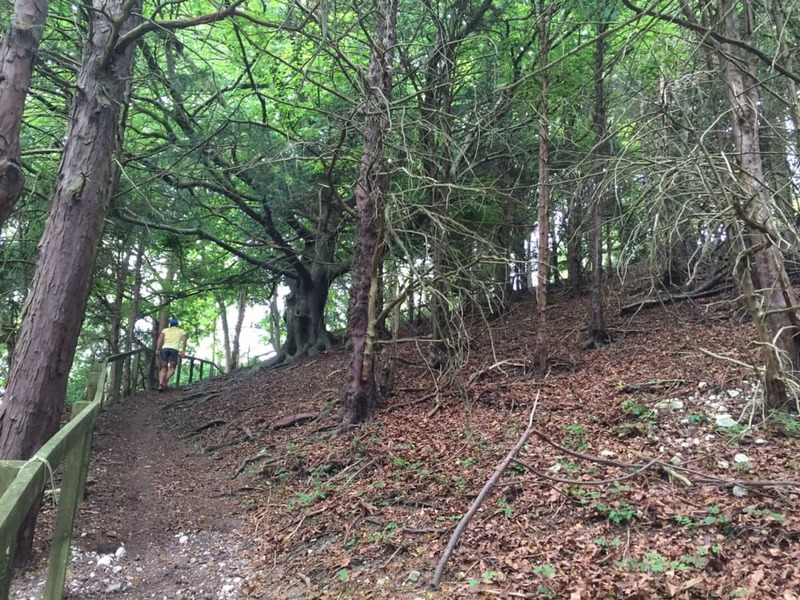 There are two descents which are narrow and rutted and require a steady footing, one down in to a field we have dubbed Power Line and one down a section of what is actually the Ridgeway National Trail which resembles somewhat a ditch and is challenging because it is filled with loose branches and stones. These sections last no more than a couple of minutes. - Patience. A sensible pacing plan early on will reap huge benefits later as you find yourself trotting past runners who went out too hard, on very straight forward runnable sections. We expect a large number of runners to stop after 3, 2 or even just 1 loop. The excuses will as usual run the full range. Most of those who stop will simply be beaten psychologically. Probably having gone too quickly. Don't come to us and complain that the course was too tough to finish. You have 15 hours to get this done should you require them. 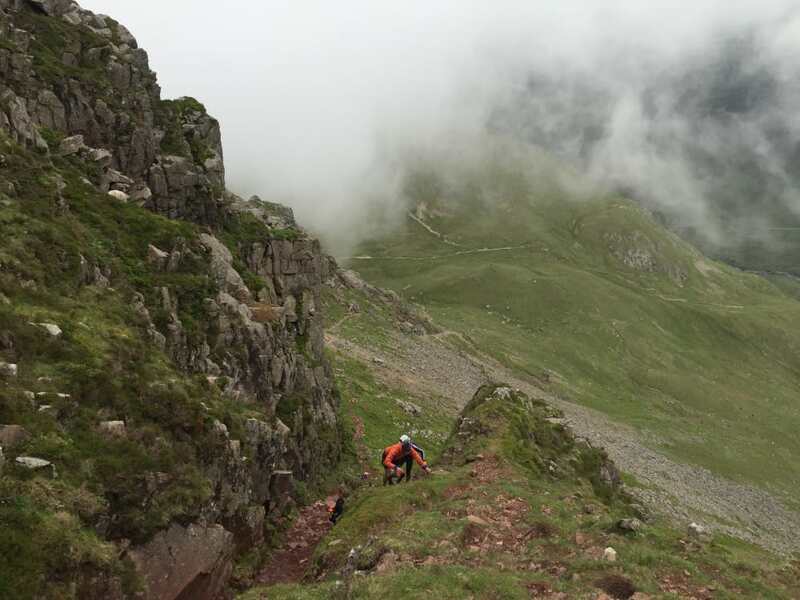 MUCH OF THE COURSE IS GOOD RUNNING which means that even if you take a large amount of time to make your way up the few very steep (and short) climbs - as long as you keep moving, focus on an even effort and don't waste time in check points, there is an extremely good chance you will finish. - A good hiking technique. Practice during training. 10000ft of climb is not excessive in the world of MUT Running. Relatively, UTMB has the equivalent of 16500ft of climbing per 50 miles for example. 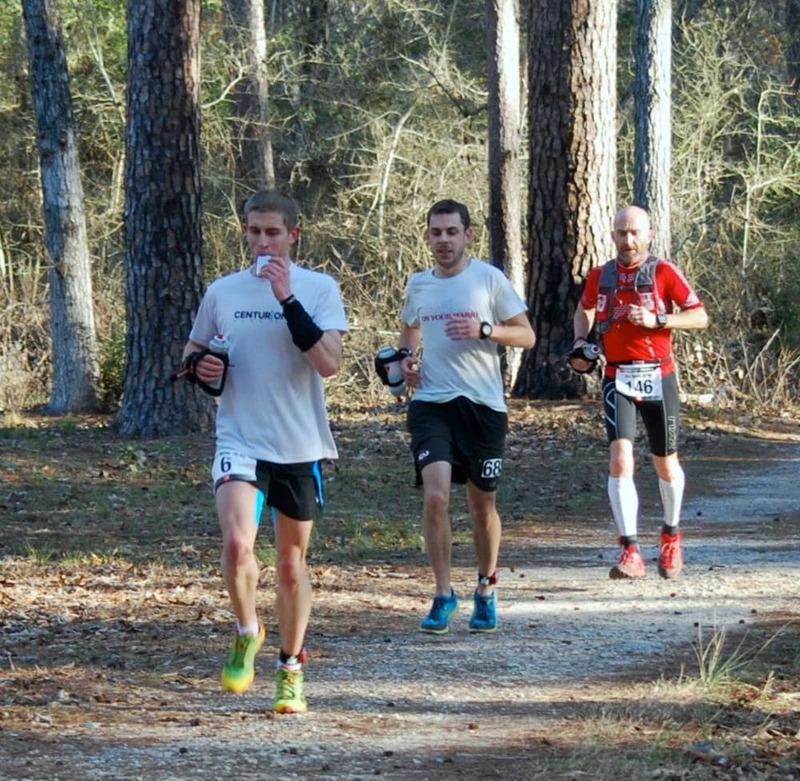 However it is substantial and requires runners to be efficient in switching between running and hiking. If you want to bring poles, bring poles. - Time Targets. We've set a 15 hour cut off at this race, rather than the usual 13 hours we allow at our other 50 mile events. 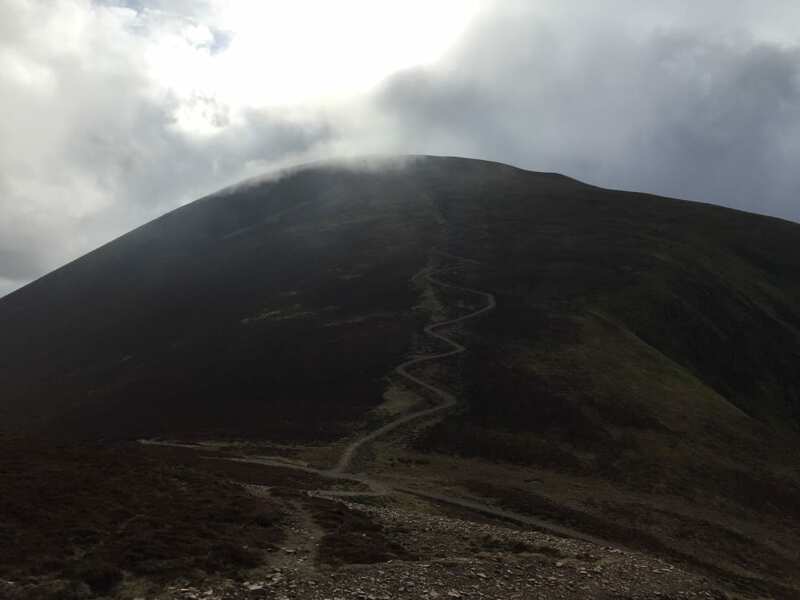 The reason for this is that the course is tougher than the other three mainly in that it contains more climb and will therefore be slower going. We have a large number of 50 mile Slammers starting this final event and we want to give each of you but especially those runners every opportunity to finish this final race. Not to be beaten by a tight time target. The fact that we have added two hours to the overall cut off should tell you something about how difficult we rate the course vs the other three 50 mile events we stage. Plan for that. 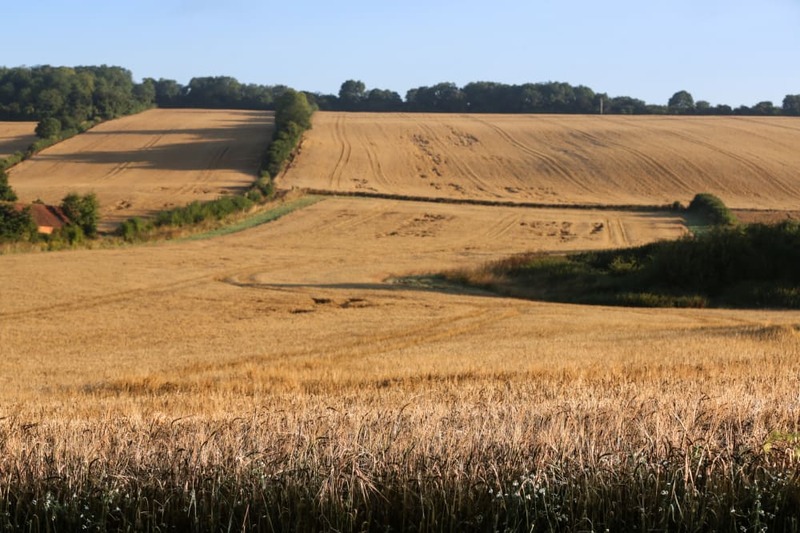 The 2017 Chiltern Wonderland is just the second edition of this event. Both as a stand alone event and Round 3 out of 4 in the 2017 Grand Slam of 50s, there is some seriously hot competition. Jon Ellis: Last years champ and hence course record has already won both the SDW50 and NDW50 in 2017, the latter in a new course record in what was the 7th year of that event. His summer finish of 4th at the Davos 80km has seen him step things up on to the international stage. Undoubtedly after some fine results in recent years, Jon has moved to a new level in 2017 and it will be his to lose coming in. With his sights on the 2017 Slam he will want to keep the dream of a clean sweep in winning all four 50s in one calendar year, alive. Neil Kirby: Neil is the fly in the ointment for Jon here. Neil also ran the CW50 in 2017 and was neck and neck with Jon until Ibstone and the marathon mark, but faded shortly afterwards and eventually stopped. He came in to that event having already won in 2016, the SDW50, NDW50, SDW100 and NDW100. He would be the first to admit it was fatigue from that schedule that got to him last September. He came back with a bang, taking second at the inaugural Wendover Woods 50 in November 2016, a race at which Jon started but didn't finish. This year, Neil has been rebuilding and will want a strong performance here. It certainly looks to be a fascinating encounter between two runners that have gone head to head many times before. Ry Webb: Ry has also stepped his game up in 2017. 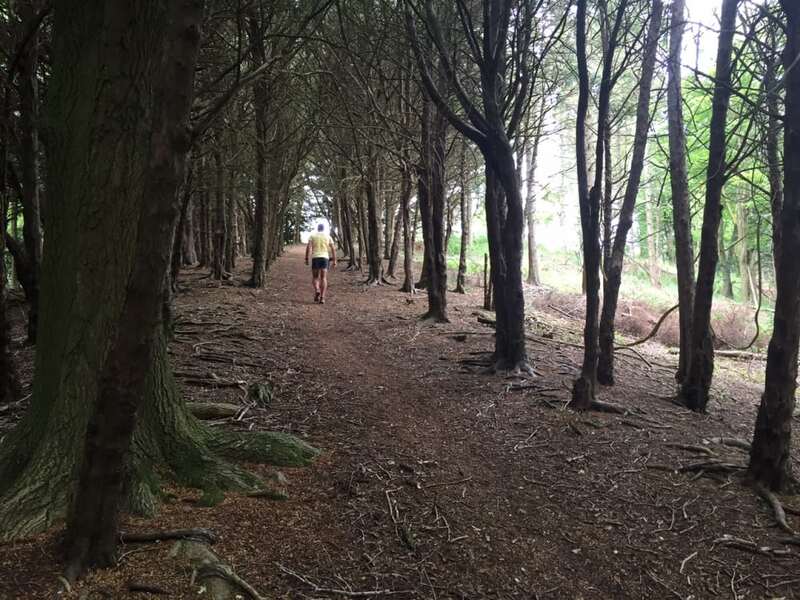 He is also running the Slam and has so far come home in 2nd in the SDW50 and 3rd in the NDW50, both times breaking the 7 hour mark. Whilst it seems unlikely he could out stretch the two above if they have their best days, his consistency is telling and it's simply a matter of time before he catches someones fall and takes home one of our trophies. Paul Russhard: Paul is the tall brooding guy at the front with the guts to go all out from the start and really take it to the field. He makes races exhilirating to watch as his do or die approaches shake up the entire field. Whilst he has yet to execute right through to the finish at one of our events, he's gotten much closer recently. Also running the slam against Ry and Jon, Paul was 7th at the SDW50, 5th at the NDW50 and has won the New Forest 50km in 2017. He will want this one badly and brings a dangerous mix to the other front runners! The womens field looks wide open for this event with no stand alone favourite. 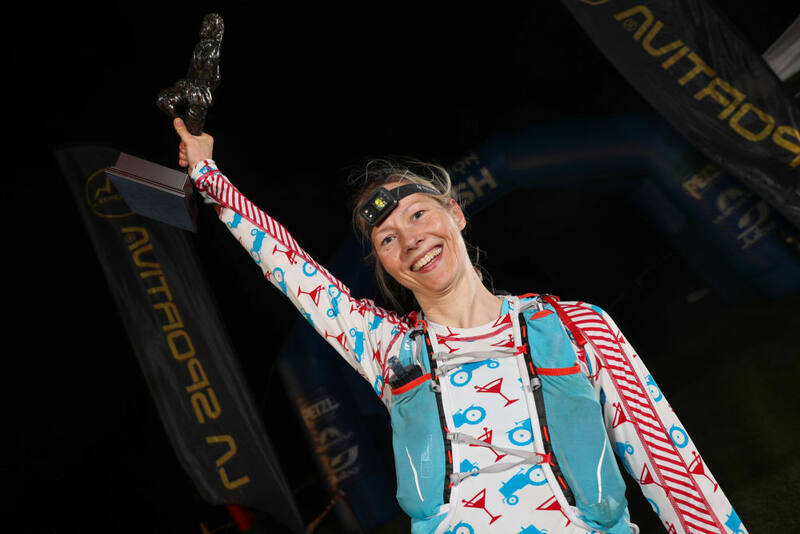 Svenja Espenhahn: Svenja's ultra career looks only to have begun this year, but she started with a bang coming home 2nd in this years NDW50. She's subsequently gone on to a 3rd place at the Monschau Ultra over 56km. 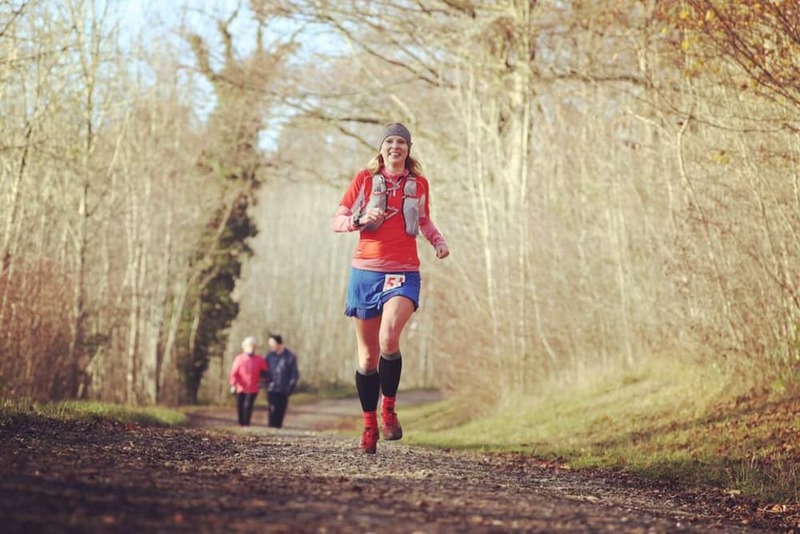 Charley Jennings: 12th at this years SDW50 before coming back with 3rd at this years NDW50, a race which she led to half way, Charley is leading the 2017 Slam standings for the ladies and will want to hold on to that position here. 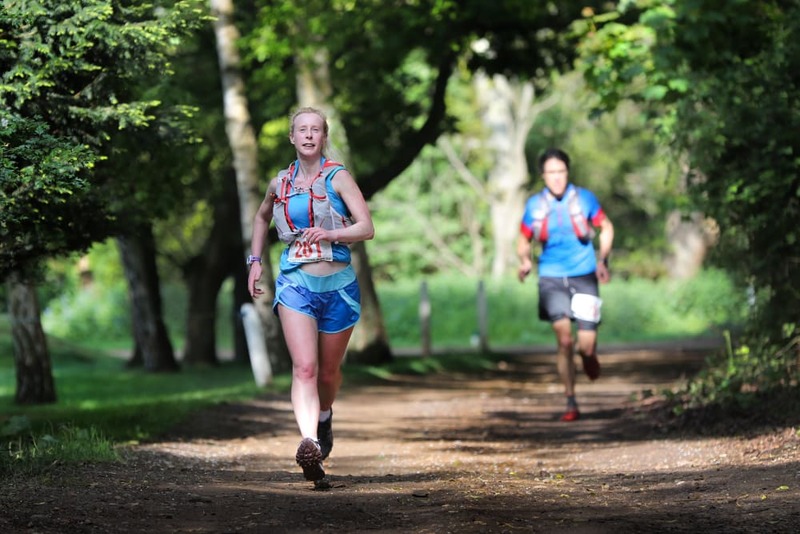 Sarah Cooke: Also running the Slam and second to Charley in the standings, Sarah has so far finished 10th at the SDW50 and 6th at the NDW50. Janette Cross: For many years I have threatened to put Janette in a preview. She is so consistent, repeatedly in the top 10 over a range of distances from 50 - 100 miles. This year that's more true than ever with a 5th at the NDW50 and a 7th at the SDW100. Whilst she was 20th at this event last year, that wasn't her best day and with the seemingly open womens race I fancy she might make her first podium this time out. Tune in to the Live page over race weekend for updates from every check point! 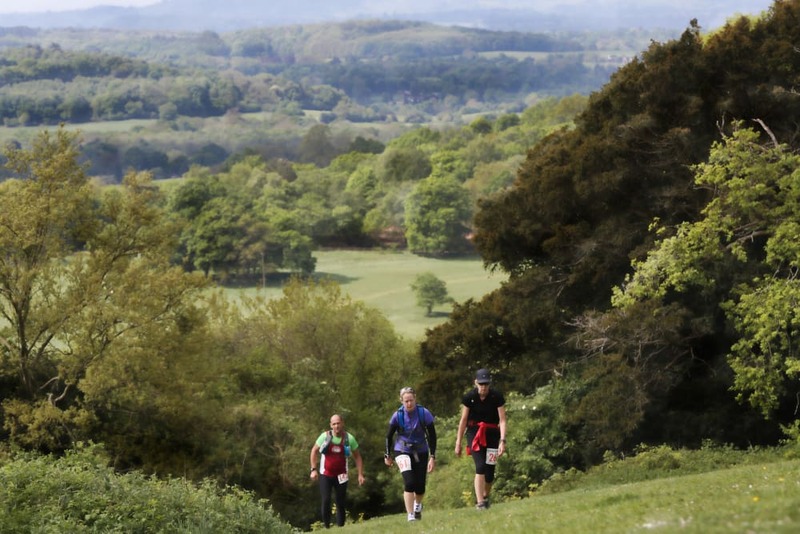 The 2017 North Downs Way 100 is set to be a barnstormer with incredibly strong and deep fields in both the Mens and Womens races. See below for a run down of the likely leading Women before turning to look at the Men. Maryann Devally: Winner Arc of Attrition 2017. 3rd SDW100 2016. 2nd NDW100 2015 in 21:17 as well as 2nd at Ring of Fire the same month. A host of other podiums at other events. Maryann is undoubtedly a possible winner of this years event. 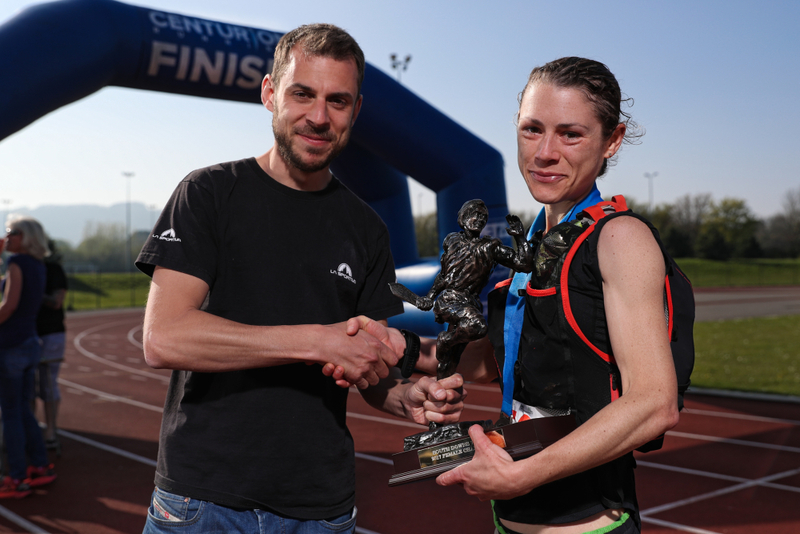 Mari Mauland: Mari was this years Thames Path 100 winner in a superb time of 16:55. She led the SDW100 until the half way mark, but had a tough time in from there suffering from stomach issues. She did really well to gut that one out and her eventual 4th place in 19:11 was a brave performance. She will want to continue her assault on the Ladies 100 mile Grand Slam Record here. 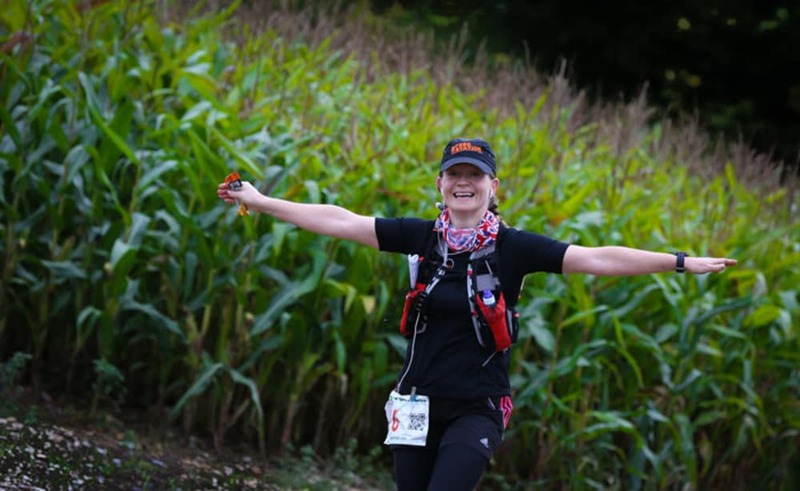 She was third at the 2015 edition of the NDW100 so she brings in that experience on top of her impressive start to 2017. 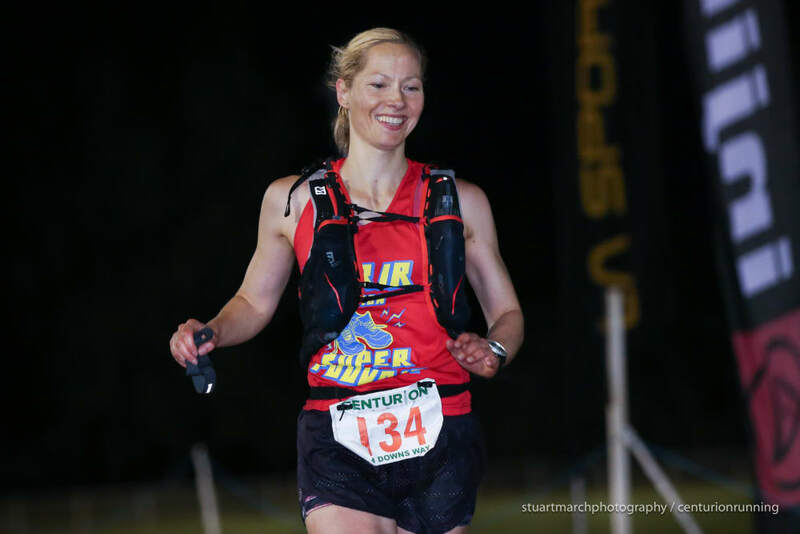 Kate Whitfield: 3rd at the SDW100 in 2015 with a superb 19:49. 2nd at the 2016 Ultimate Trails 110km. Kate also has a raft of other top ten and podium finishes at shorter ultras over the last four years. Zoe Salt: Zoe has a string of great results behind her in a really diverse range of races. Finishes at the mega Grand Raid Reunion, MDS and Transvulcania alongside podiums at Lakes Sky Ultra, Iznik, Country To Capital etc. It will be fascinating to see what she can do here. Sarah Cameron: It looks like Sarah is based in France and she has strung some great results together over there. 14th at the TDS, 15th at Templiers Grand Courses and a 1st there three years ago at the Endurance Trail. The potential to go well here is very high indeed. Lucja Leonard: 13th MDS. 2nd CTS Northumberland 2016. 4th Cappadocia 2015. 2nd Augrabies 2014. Some great results behind her coming in to this one. Dan Doherty: I recently spoke in our new podcast about the fact that we are in something of a British Ultrarunning Renaissance, with 3 or 4 individuals nationwide capable of doing things that are on a different level to that which we've seen for a long time. Dan Doherty is one of those people. His results of recent years would not make that clear. In the past he has however put himself on that international level. 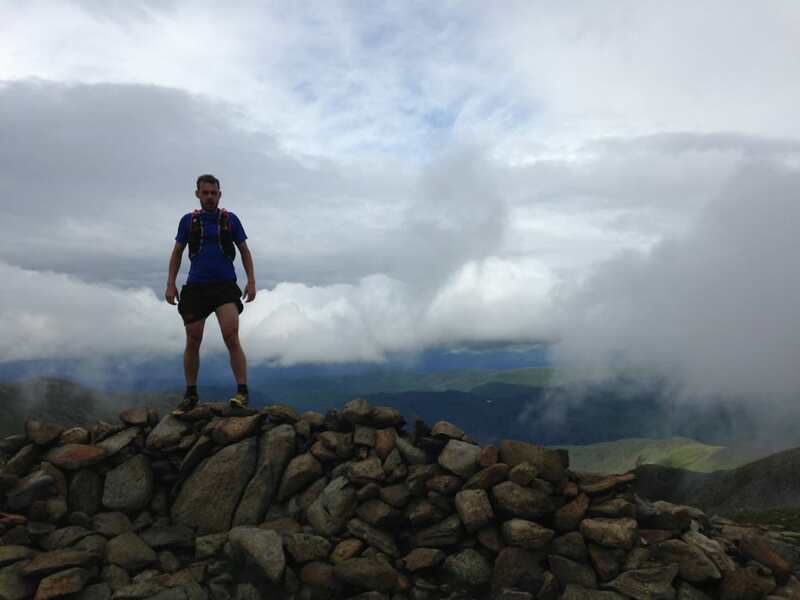 He has represented his home nation Ireland at 24hrs, 100km, Mountain Running and the Ultra Trail team. ACP 100km Champion in 7:05, 6th at the mighty Tor Des Geants in 83 hours (he was 2nd there the following year when he was hurt in a fall and had to drop), top 20 at both the World 100km (twice) and World Trail Championships in years past. This year he set a new record for the Brecon Beacons Traverse. That might sound a bit off of the radar. 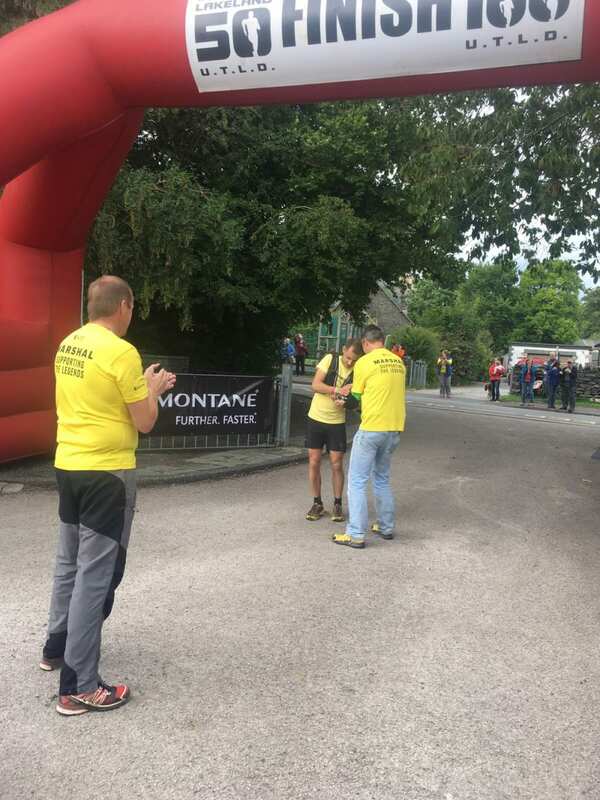 But Dan took that record from Mark Hartell, who until recently had the second fastest ever Bob Graham Round and still holds the Lakeland 24 hour Peaks record. That time has stood since 1993. Last year, I paced Dan over the first/ boundary leg of his Paddy Buckley attempt. I have never seen anyone move in the mountains like that before. He dropped me as we ran up Foel Ddu together after the quarry. 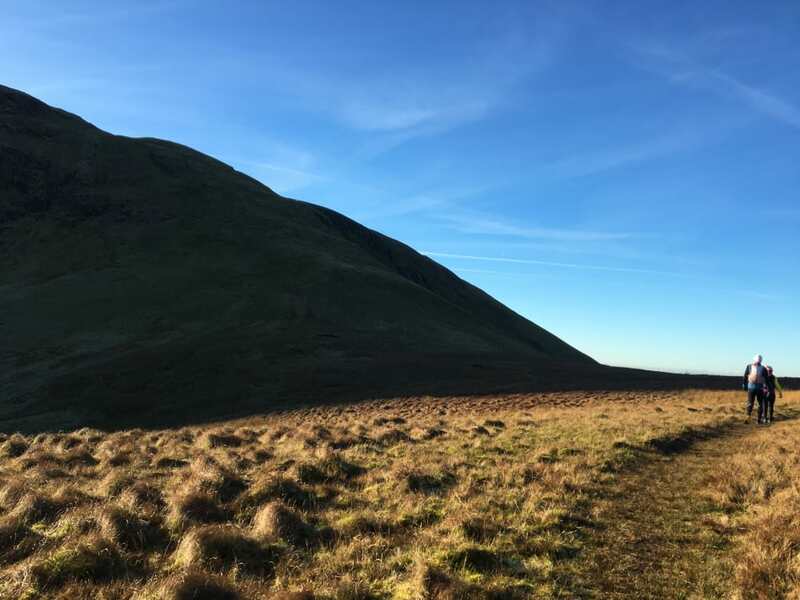 I caught back up to him on the final peak, Cnicht in heavy clag and when we hit the short rolling road section to Nantmor, just how fast he'd been moving on some of the roughest, boggiest terrain in the land was made clear, as his average pace dropped to low 6s for equivalent effort. It was astonishing. 45 miles in to that record attempt he was literally miles under record pace, when the forecast storm came in hard over the Glyders and he was literally blown over. He descended to us off of Devils Kitchen and thus just 13 miles or so short of a new record, it was snatched away from him. When he goes again, the record will very likely go and by some margin. So for me, it's one of those truly exciting moments leading up to this one, to see if Dan is able to string together a performance which matches his ability. Ed Catmur: Ed is the North Downs Way 100 cours record holder with a 15:44, in one of the truly great performances we've seen at our events. The only person ever to go under 16 hours here. He has one other NDW100 title to his name and has won all of our 100 mile events with the exception of the SDW100 which has until now, alluded him. He has however suffered a string of injury woes over 2016 and 2017 and is still making his way back to his best. He would be the first to concede he may be unlikely to challenge his 2013 time here but it would be great to see him in shape to push for the top once again. 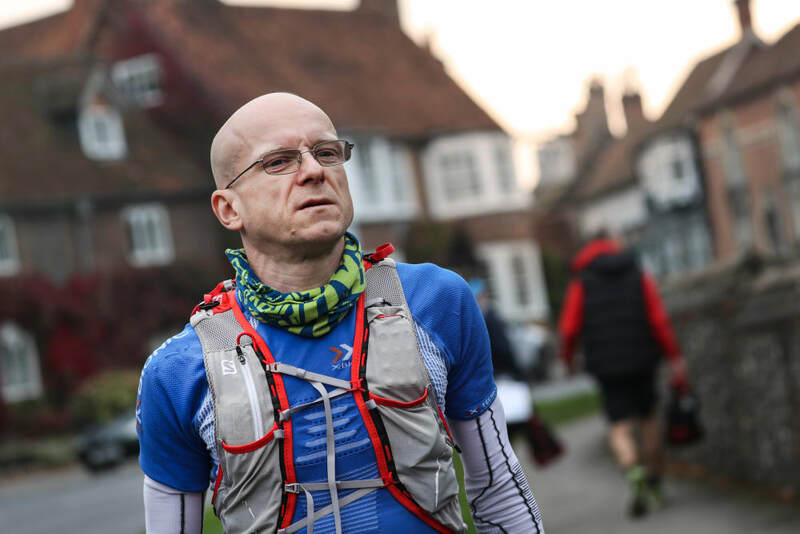 Paul Maskell: Paul is relatively new to the sport, with the 2016 Arc of Attrition seemingly his first ultra. He went on to an impressive 2nd place a the 62 mile RAT last August, before coming home with a superb win at this years Arc of Attrition 100 in February. Certainly he will be looking to be competitive here. 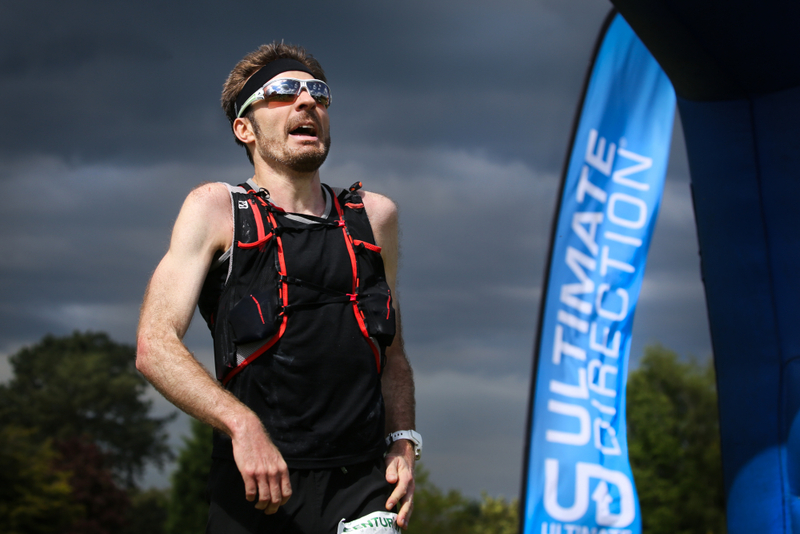 Nick Marriage: 9th at this years TP100, 4th at this years SDW100. He now sits second to Dan Masters in the 2017 Grand Slam standings after a very impressive first half of the campaign. Ian Hammett: Ian always brings a smile to his racing and some fine racing it is. 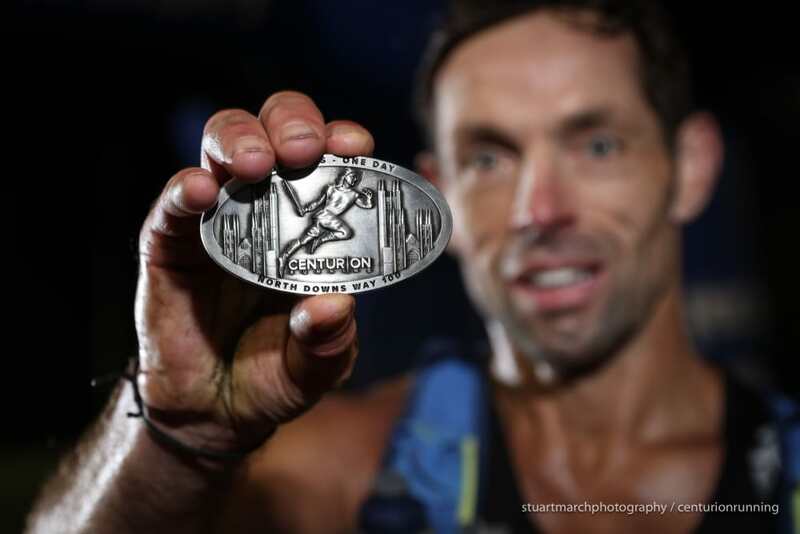 His string of top 10s, podiums and a couple of victories in his relatively short ultra career have put him on the map and he comes in to this as part of his build up to Spartathlon. So far in 2017 he has taken home 3rd at the SDW50, 4th at the NDW50 and 9th at the Ultimate Trails 110km. 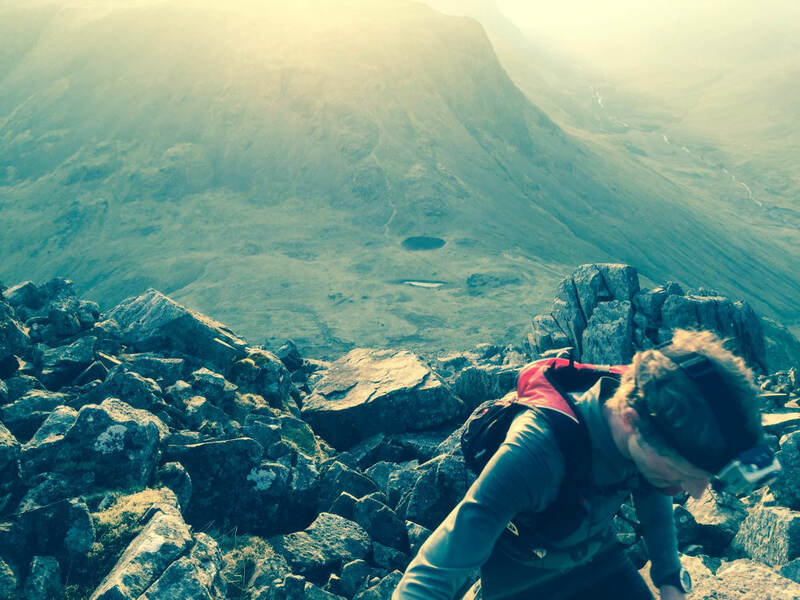 Dan Masters: Our current leader in the 2017 Grand Slam standings, Dan has so far run himself to 2nd at this years TP100 and 5th at the SDW100. He is new to the sport and has quite the string of results to his name since early 2016. The only potential danger for Dan is the temptation to over race. At the beginning of July he also squeezed in the Belfast 24hr open race and had a tough time there albeit gutting out 200km in the end. He is super strong, and if he has rested well the plan I am sure will be to continue his progress as leader of the Slam and bring in a new overall record by the end of 2017. John Stocker: John is our 100 mile Grand Slam overall record holder and has recently taken home the win in the Thames Ring 250. A very different type of event to this but ultimately an impressive strong performance given that he has also raced both our 100s so far this year, the Spine and Grand Union. There simply has to be fatigue however going from race to race like that so John's 2017 NDW100 will be telling. After a third here last year, can he run stronger again or will he suffer later on with signs of over-racing. Fingers crossed it's the former. 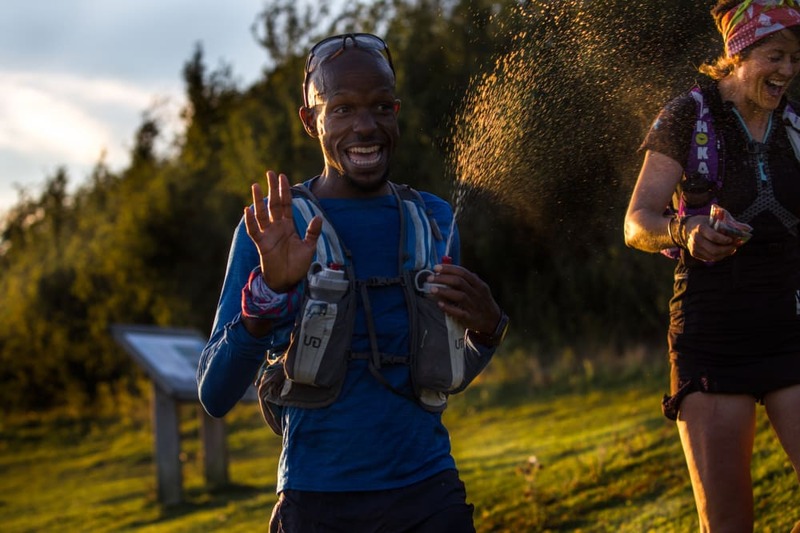 Jez Isaac: Jez has steadily built his ultra running career since his first appearance at this race in 2013, his first 100 miler. 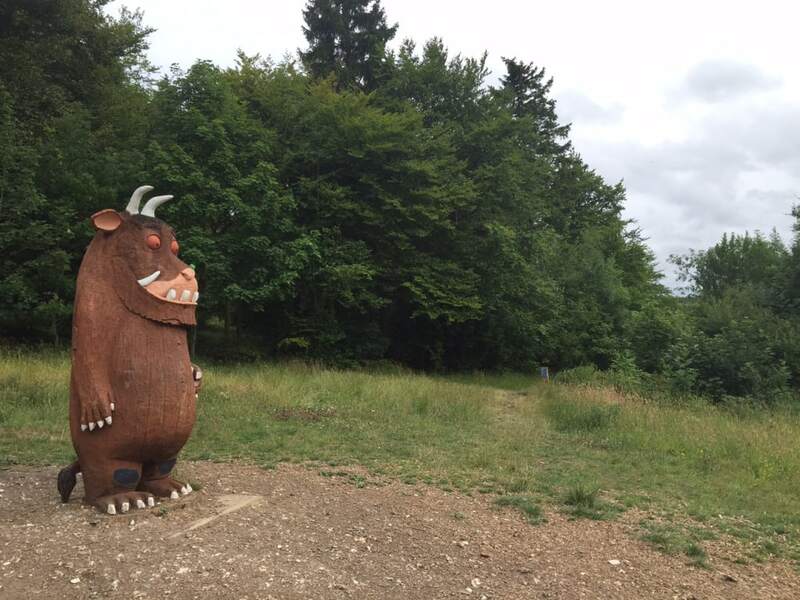 This year he has exceeded his previous achievements with a 3rd place in 16:25 at the TP100. 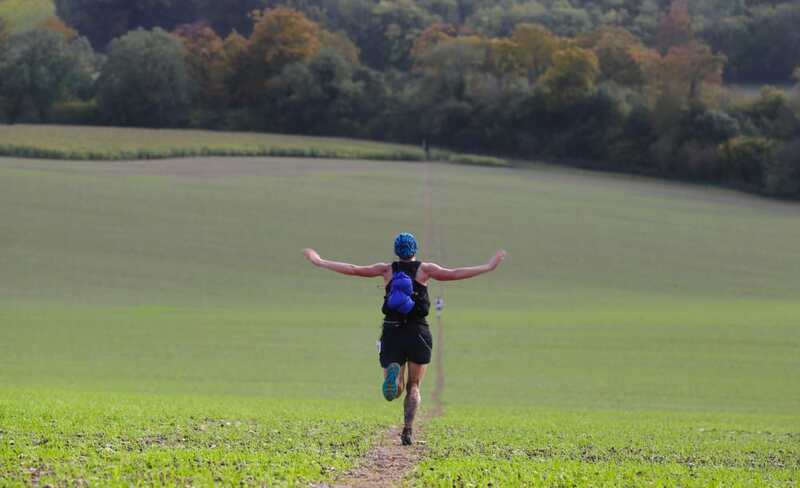 Following Top 10s at the 2016 Autumn 100, Grand Union and TP100, he has to be looking to put himself back on the same level again here, if not go one higher. Greg Dunning: 23rd at this years MDS is a superb result. That follows a 6th at Courcheval X-Trail (54km) and two wins at the Black Mountains 40. This is somewhat of an unknown distance it looks like, but certainly he has the ability to go well. 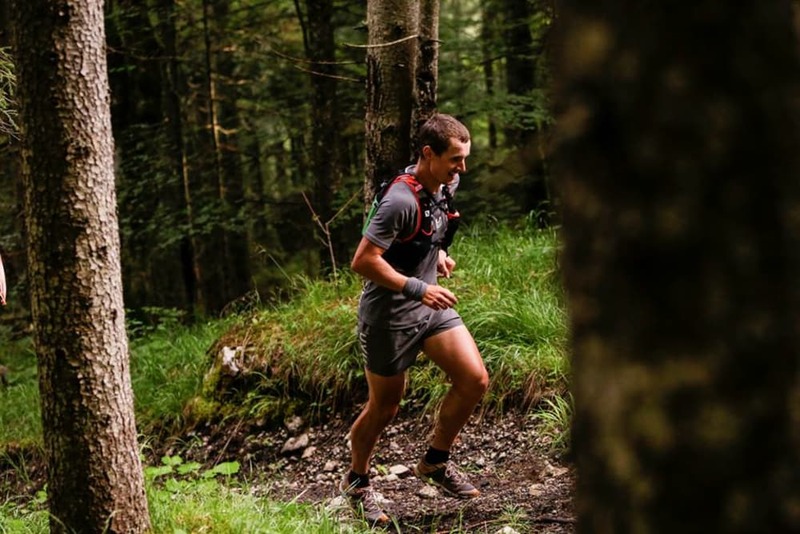 Other possible contendors include Norbert Mihalik (8th 2016 NDW100, 3rd 2017 Country to Capital and 220km Ultrabalaton), Ollie Stoten (1st 2015 Country to Capital, 2 x victories at T60, 4th at the NDW100 in 2012), Neil Beacher (2 x Top 10 SDW100 both sub 18 hours), Ed Knudsen (9th at 2017 SDW100). 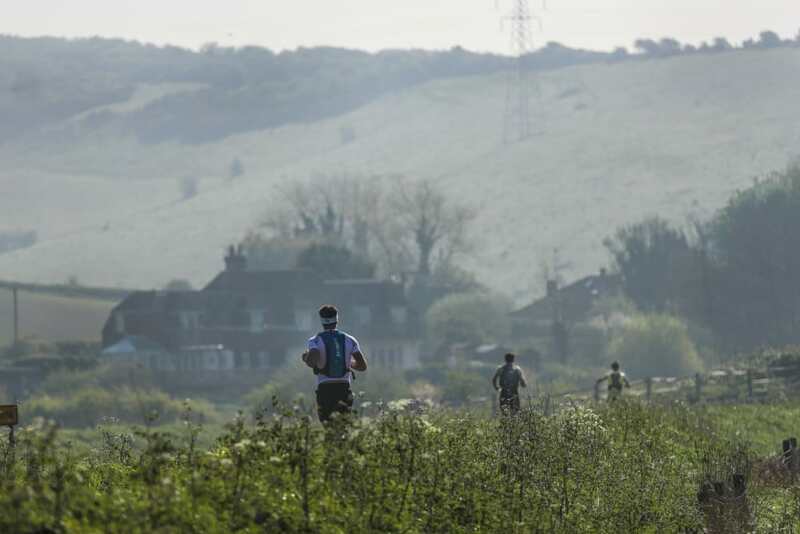 This sixth edition of the 2017 Thames Path 100 is expected to see a starting field of 300 and takes place over the weekend of 29th - 30th April. In 2016, Craig Holgate lit the course on fire with a performance that saw him reach Abingdon Aid Station on course for a 13:30 finish time. A single navigational error led him off course just after and he eventually crossed the line in 14:09. That run showed what previous editions of the TP had not, that this course is incredibly fast if conditions are good and the race is approached in the right way. 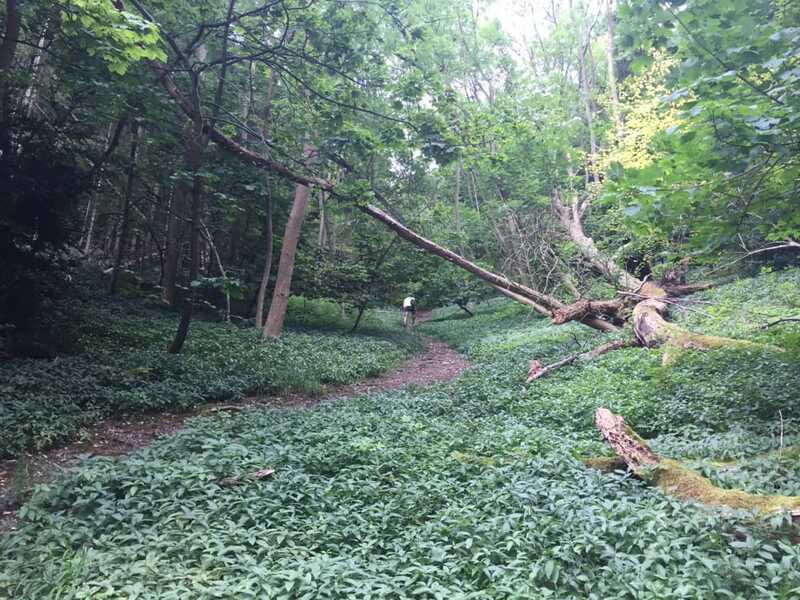 This is a runners course, with around 1500 feet of elevation gain in total and a mixture of underfoot conditions. 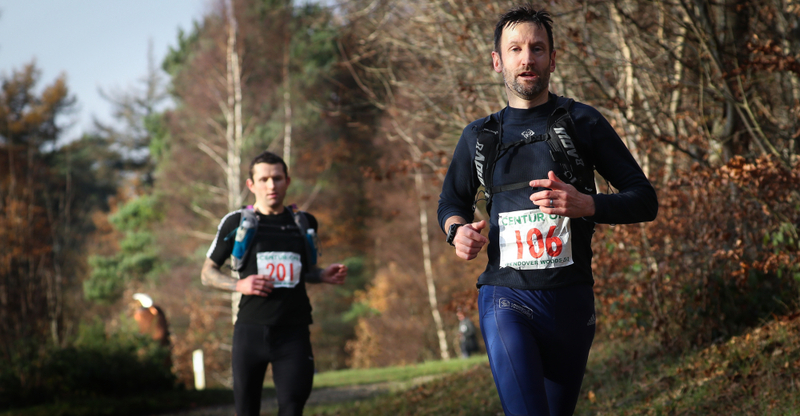 This year we see a situation similar to the 2015 Autumn 100, where lots of returning runners with extremely solid performances under their belts at this or others of our events, look to take things one step further and take home a trophy. Mark Denby: Must go in as favourite after storming our last 100, the Autumn 100 in October 2016 in a blazing course record of 14:07. He knows the Thames well having also run and won the T184 also in a course record time. 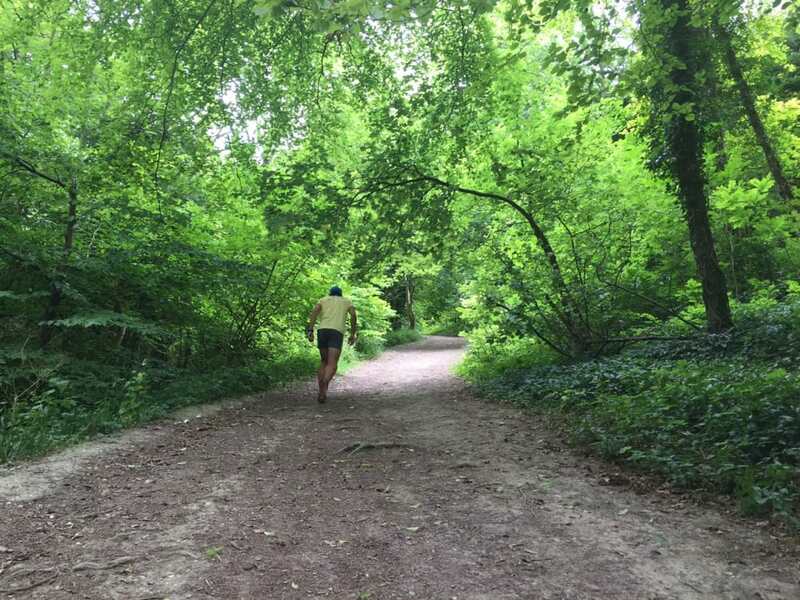 He has finished the TP100 before, back in 2015 in 19:03 so he made a 100 mile improvement of 5 hours in just over a year!! Since the Autumn he has struggled with injury and dropped out of Athens 24hr in February. He will certainly be looking to make amends here. Steven Lord: Steven took home the Hardmoors Slam title last year with wins at the 55, 60 and 110. He's also placed 5th at Lakeland. If he can move from hills to flat he should do really well here. Mark Grenyer: Mark was 3rd last year in a time of 17:11, though it doesn't look as though he has raced since. If he can bring that form in here, that will put him in the mix with many of the below. Fergus Edwards: Fergus ran 23 hours in 2012, 21:10 in 2014. He was 10th in 2015 in 19:08 and then 6th in 2016 in 17:55. Can his upward curve continue here? Dave Ross: Dave Ross' back catalogue is massive. He is one of the most experienced runners, if not the most experienced in the field with over 100 ultras to his name. Dave's first 100 mile finish was our first event back in 2011. So far he has 11 Centurion 100s to his name including 3 Thames Path 100s. His best time was a 15:58 at the SDW100 in 2014 - a race I think he would have to count as his best 100 to date. He has never quite got the TP100 right, his best is back in 2012 where he came home 6th in 18:48. I am quite sure if he is fit and motivated which he seems to be at the moment, he will have designs on going a long way under that this time. John Stocker: John became our new Grand Slam 100 record holder last year, taking Dave Ross' crown by just 9 minutes. His TP last year was an excellent run for 7th in 18:04 and he will look to go better this time. Nick Greene: Nick comes in to the TP100 with a best of 16:52 for 2nd in 2015, making him I think second fastest 100 miler coming in to this event. He ran a very solid SDW50 just over a week ago and will look to build on that to another strong finish here. Sergiy Ionov: Sergiy has some solid results behind him, most notably a 3rd place at Rat Races' The Wall. However one result stands out above all others and puts him as exceptional - a 27:27 for 15th at Spartathlon last year. If he can bring anything like that form in here he could challenge for the win. Richard Heath: Richard is a very experienced and very capable runner. His biggest result perhaps, was a win at the Ring O'Fire in 2015, a tough race. He has plenty of Top 10 finishes behind him as well as experience at much tougher events like UTMB, GUCR and the NDW100. If he can get his ultra pace to match his road running pace he could be a podium contendor once again here. Ammon Piepgrass: Expect Ammon to be the guy who is back in the mid pack at the start, then cruise through the field to show everyone how to really pace a 100. He's a strong guy with plenty of long experience behind him including recent finishes at UTMB and Laveredo. He has 2 Top 10s already in 2017, Country to Capital and the CTS South Devon Ultra. He's my pick for another here. The ladies race looks particularly wide open this year with only two names standing out at the moment. Sarah Sawyer: Sarah has improved consistently over recent years. From a 2015 finish here of 23:24, she has since gone on to bring her 100 mile best down to 18:39 for 3rd at the 2016 Berlin Wall 100. She's posted wins at RTP Stage Races and runs strong across all distances regularly placing top 10 - her last ultra was a 3rd at our inaugural Wendover Woods 50. Whilst the winter has brought a few more bumps than she would have hoped, she is a strong competitor and will bring the desire to go all the way here. Mari Mauland: 2nd here in 2016 in 19:11 and with lots of other podiums and top tens to her name in the last several years, Mari is a strong runner who also knows the course. With her and Sarah it has the making of an exciting race, the question is will any other ladies step forward to challenge for the overall placings. 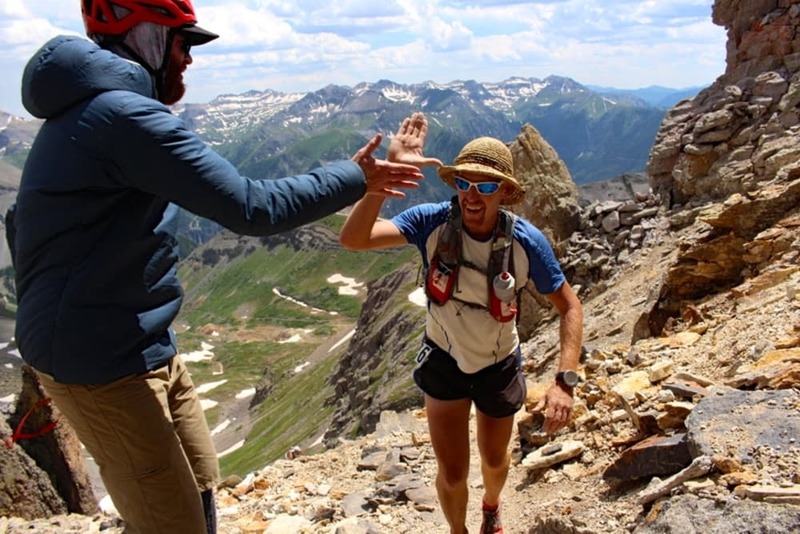 Whilst Bryon has some incredibly strong running results of his own in the past, including but not limited to multiple finishes at Hardrock, Western States, the MDS, a top ten at Leadville 100 - I think his main aim for this event is to see some of the English Countryside and sample the local delicacies along the way. Whatever the case we are honoured to have him running with us. 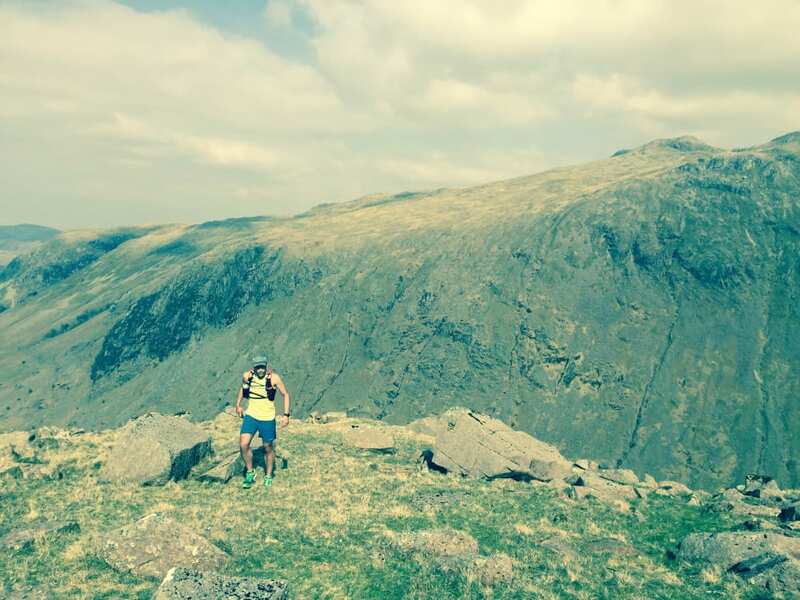 Last month, Centurion Running RD, James Elson completed his round of the 214 Wainwright Fells in the Lake District. Team runner Debbie talks to James about his three-year journey. 1) Firstly, why the Wainwrights? 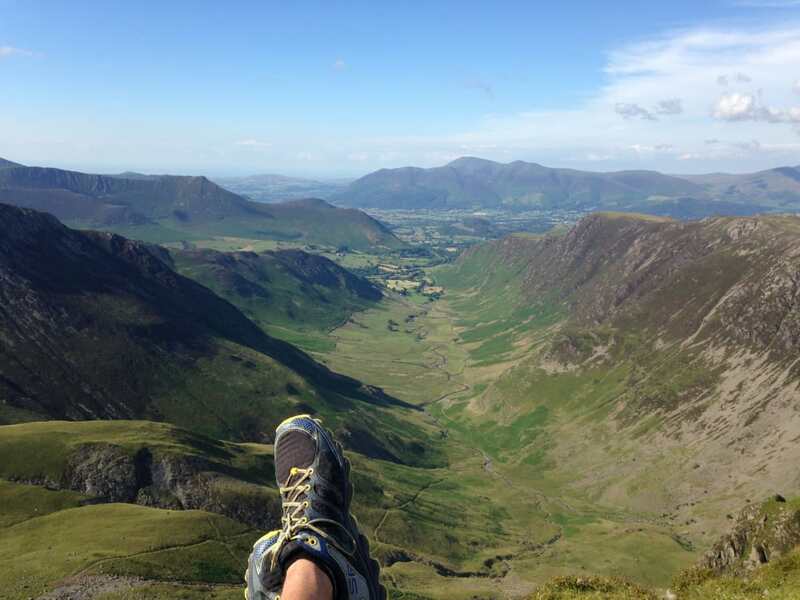 And did you do your first Wainwright with a view to completing them all? 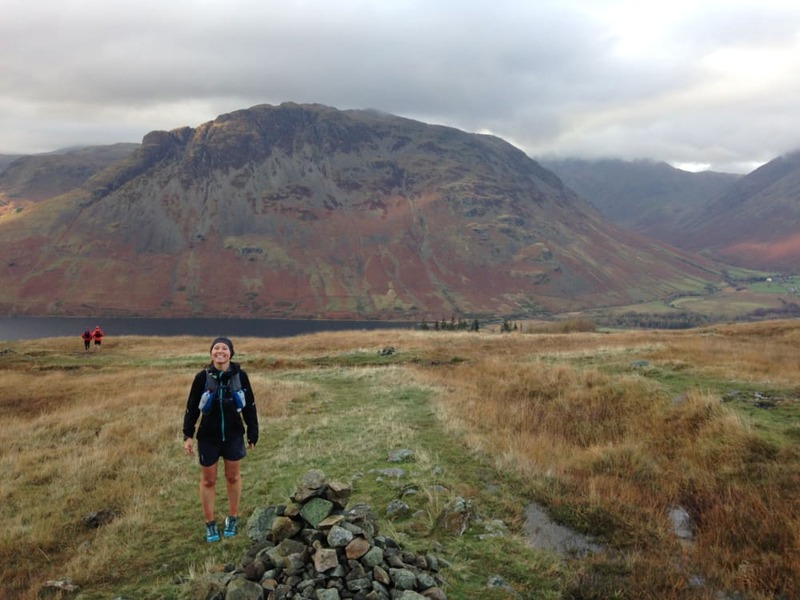 I love the Lake District and I wanted to learn to run better in the mountains. The fact that there are 214 Wainwrights is an arbitrary number. 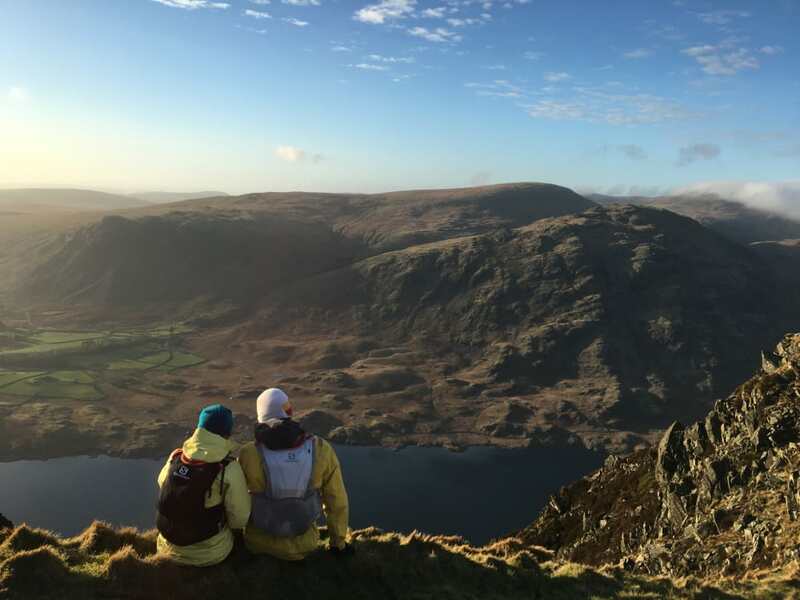 Alfred didn’t have a particularly solid reason for choosing the mountains that he did - but they do encompass pretty much the whole of the Lake District. I wanted to see the whole area. Every fell, every valley and every lake is so different from the next that there is almost an endless amount of exploring to do. 2) You live quite a distance from the Lake District. How did you manage to fit it in around race organising, coaching and family? In two ways really. I did most of them over winter times in our off season. Things are much quieter for us at Centurion between December and March, so I would try to pick weather windows and make single or two day trips. We’ve also had quite a few family holidays to different areas of the Lakes during which I’d get round to some of the harder to reach areas. 3) Ticking them off in three years is quite quick, especially with the distance you had to travel. Any tips for anyone looking to compete the round? If doing them in a short space of time is your aim, plan your days out well. I didn’t plan and got to about 100 tops before I realised I wanted to actually start aiming to visit them all. By the time I had about 50 left, there were odd ones scattered all over the Lakes that required time and energy just to get near, let alone get up when I could easily have linked them in to other days out had I planned them better. I ended up visiting some of the tops a dozen or more times. 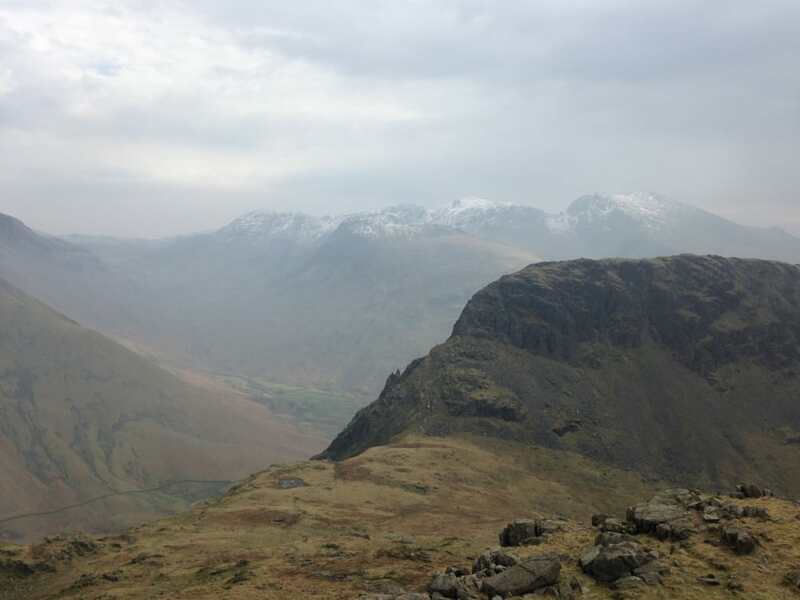 4) The Lake District is one of the one most beautiful places in the world, tell us about your favourite day. That’s really hard, there have been so many great days. 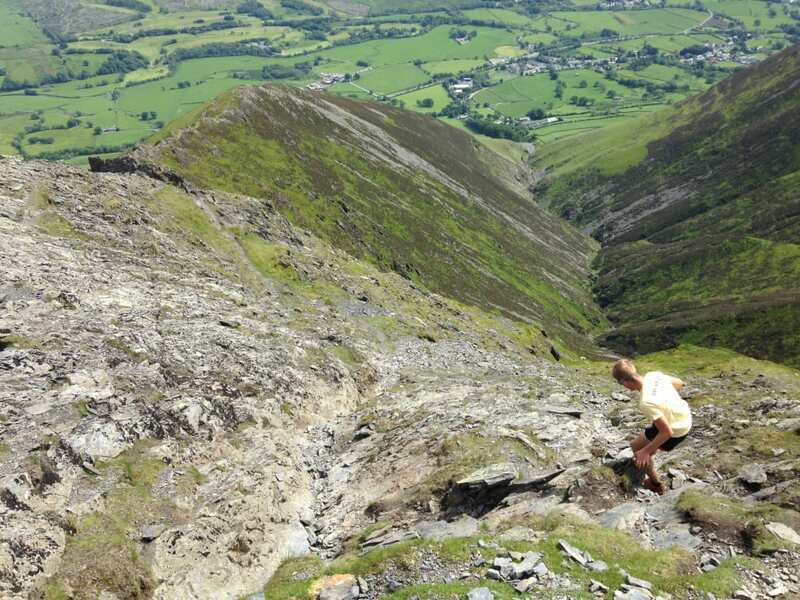 Maybe one of my favourites was the Coledale Horseshoe plus half a dozen others which I ran in April 2015. It was the first really warm day of the year, blazing sunshine and not a breath of wind. I pushed really hard for about three hours and felt fantastic. 5) It's also known for its awful weather, tell us about your most challenging day. 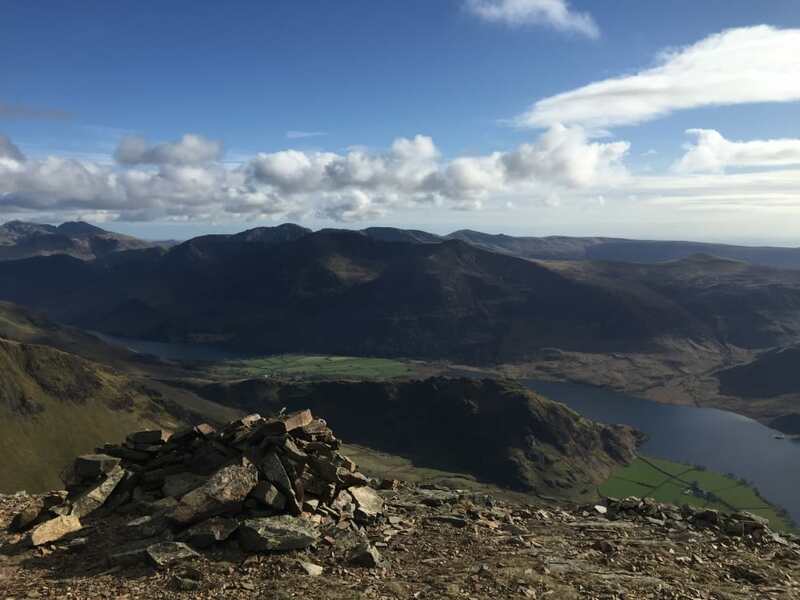 One November I took myself off up Haystacks above Buttermere and then ran the ridge line across High Crag, High Stile and Red Pike. The weather was atrocious and every path was a torrent of water. I’ve never seen before or since so much water coming off the hills. Coming off of Haystacks the rock was so wet I just couldn’t get any grip and I began to think that it wasn’t going to end well. But I persevered and got to High Stile but then navigated the wrong way off of the summit and started descending down towards Ennerdale. The visibility was about 10 metres and it was so windy I was struggling to stand up. 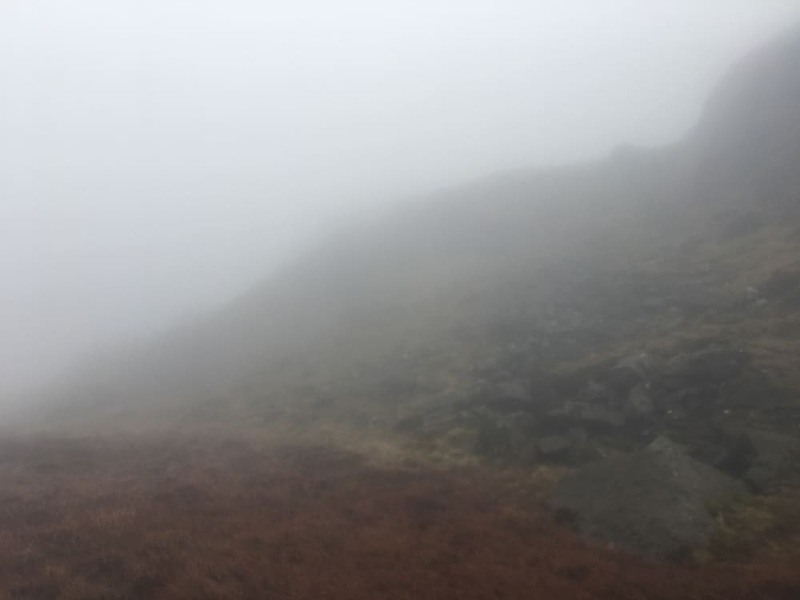 I had to really carefully re trace my steps using the map and compass (the needle on my GPS was spinning round and round because of the conditions) and eventually found my way to the summit of Red Pike before I teetered my way off of the front side down to Buttermere. My hands were frozen solid. I really felt that day that had I not been able to read a map and had a compass and the OS sheets with me I would have had a major problem. 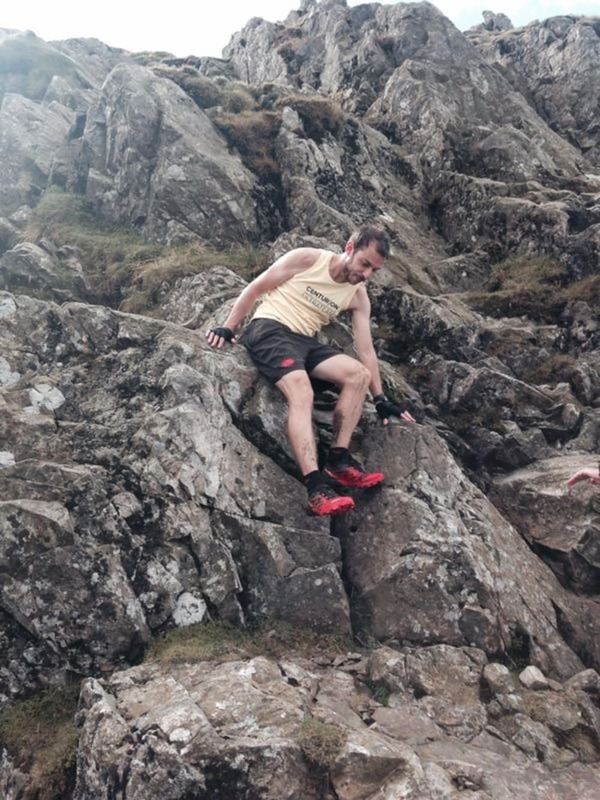 6) You completed the Bob Graham Round in 2014. Is it as tough as they say? Yes I completed the BGR in 2014, it’s a circuit of some of the most prominent peaks in the Lake District. 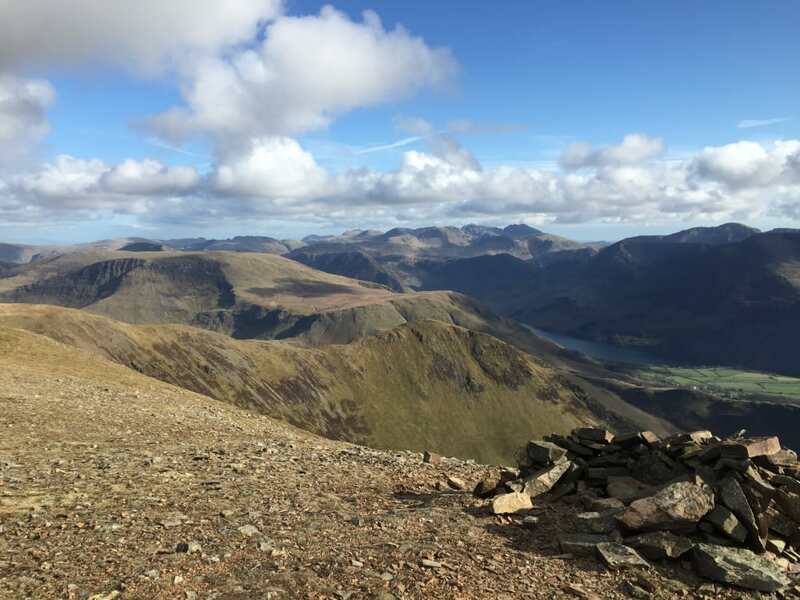 You have to visit 42 tops (39 are Wainwrights) and it has to be completed within 24 hours. Numbers wise it’s about 60 miles and 27000 feet of climb but the difficulty really is the underfoot conditions together with the likely navigational difficulties both at night and in any kind of hill fog which is pretty common fare. It’s tough, I think it’s wildly underestimated by people who haven’t been on that kind of terrain. I don’t think it’s as tough however as the Paddy Buckley and likely not the Ramsay Round either, the Welsh and Scottish equivalents. 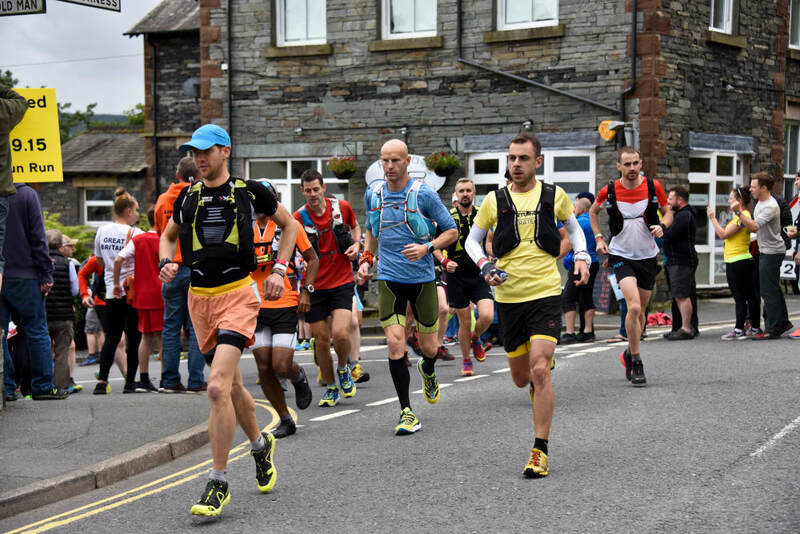 7) There are some fast guys looking to have a go at the BGR this summer. Do you think the record might go? It depends. If you look at Billy Blands record 13:53, nobody has yet come with half an hour of it. 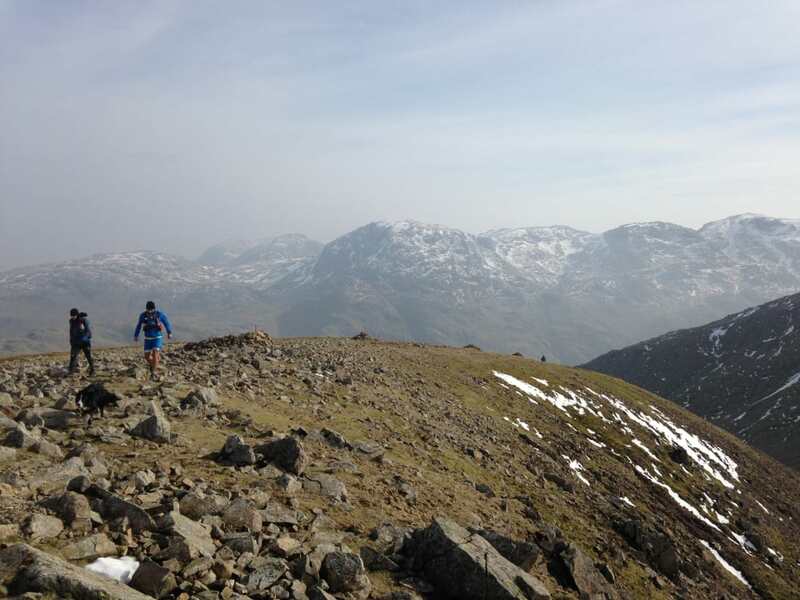 As a fell racer, he still holds course records at events like the Borrowdale, which some of the elite level runners going after his record potentially this year, have tried repeatedly to better and failed. So it makes you wonder if they can do it. There are two things in favour of those trying today over Billy. One is that there is effectively a trod/ path around the entire BG route nowadays because so many people run sections as days out. That makes some of the navigation easier in poor weather and potentially a little faster going underfoot. Secondly, they have a time to beat. When Billy ran it, he had only the stars to aim for so who knows what he could have done if he’d had to actually go quicker. I also think Jasmin Paris’ round from last year has really opened some of the elite level fell runners’ eyes to what is possible. She has opened a door herself I think with a run of such a high calibre. I do think Killian is capable of bringing the record down. I don’t see the underfoot conditions presenting any kind of obstacle to him. I would imagine his descending ability will allow him to take time out of the record splits. His biggest problem will be getting people together that can keep up. I imagine he will have to look at splitting each leg down in to smaller components in terms of pacers, to allow him room to move as fast as he is capable of. 8) You were travelling and climbing in all seasons. 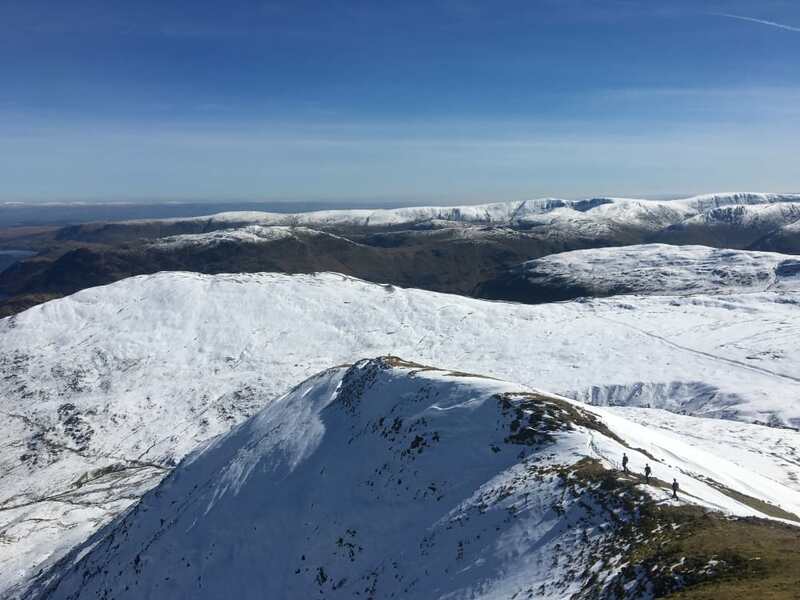 Any advice for winter wainwrighting? The planning becomes much more important. 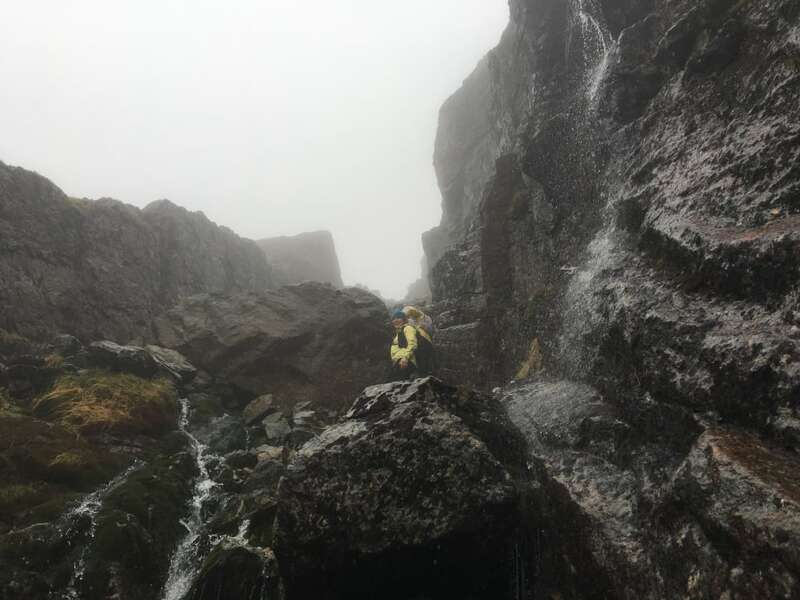 The conditions above just 700 or 800 metres in winter time in a storm can be absolutely brutal. Reading the weather forecast is the number one thing and understanding through experience how those conditions relate to on the ground. For example, wind speed is a big factor in terms of chill factor and how cold it can feel, but also in terms of the practicality of even being able to move. I’m quite light, and if wind speeds exceed 65 mph, I can’t stand up. So if winds are gusting in excess of that or are a steady 50mph or more, I’ll not bother going up high. Hill fog is a major issue in terms of navigation in all seasons but particularly winter. Over time you get used to navigating in cloud and I am comfortable going out in very poor visibility and or darkness on to fell terrain. But I try to avoid going up when both are combined unless I am on major paths. Its’ very disorientating. Usually you’ll encounter mixed conditions on the ground in terms of snow, ice and wet/ dry rock and bogs during winter. Knowing when you’re likely to need spikes/ crampons and potentially even an ice axe is important. 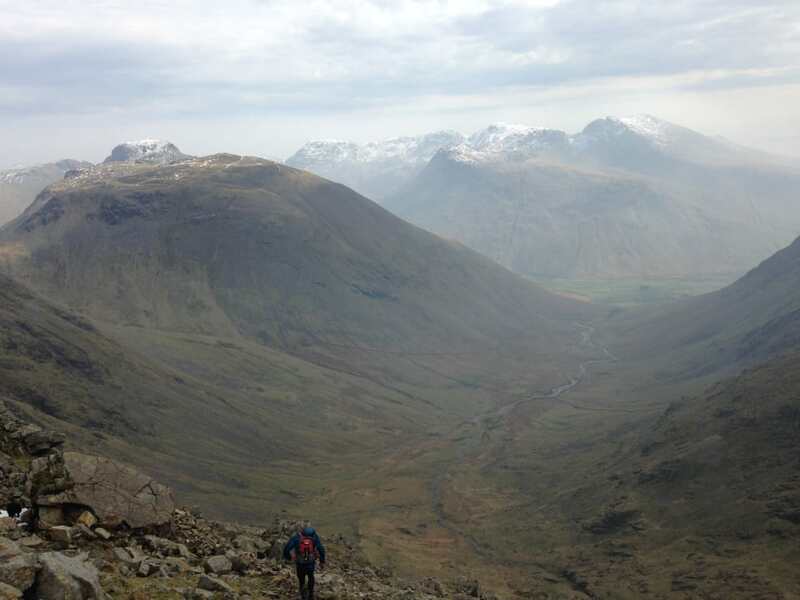 It’s possible to do all of the Wainwrights without a rope though. 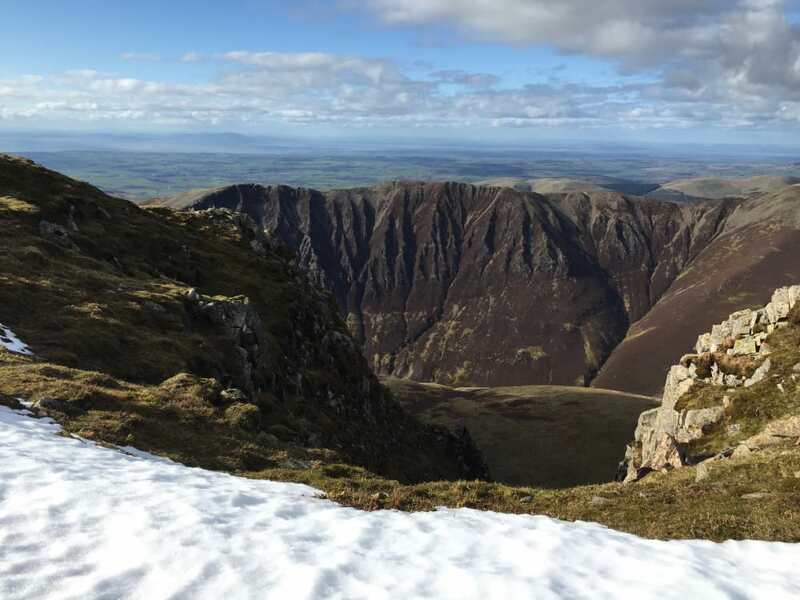 Staying tuned to the Fell Top Assessors reports available every day through the winter gives you an accurate picture of what the ground conditions are likely to be out. 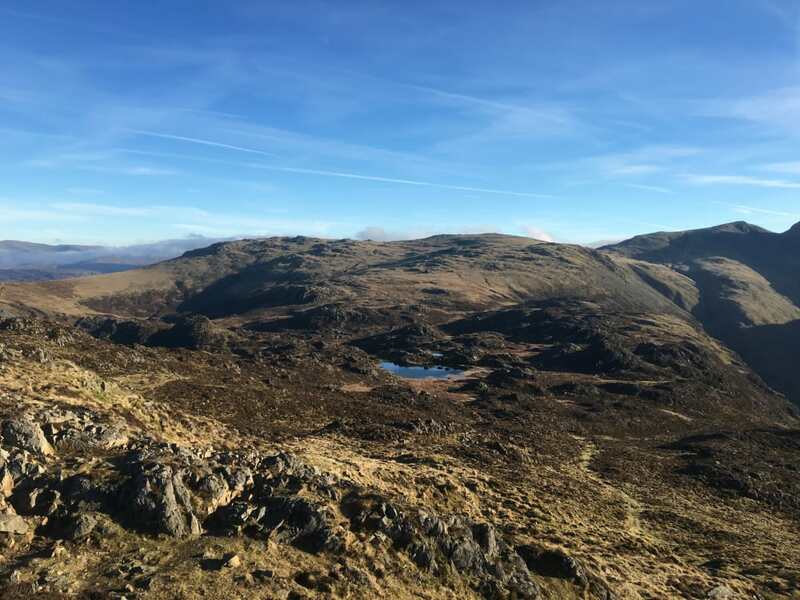 In terms of bogs, it’s worth pointing out that there are one or two areas in the Lakes that I’ve come very close to having a major problem in. 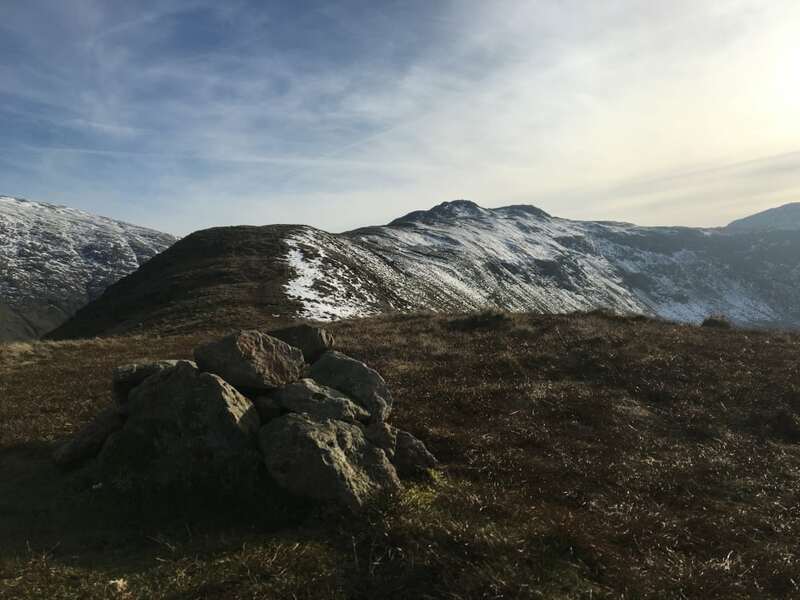 Usually they are around outflows from tarns, last month I went up Cold Pike after dark and navigated poorly straight across an outflow from a tarn under the summit of Cold Pike. Two steps in and I was stomach deep. Some of the bogs in Snowdonia are far worse but you can still find yourself trapped chest deep or worse if you pick the wrong line in the Lakes. Learn the different colour of the grass and what a bog looks like - bright green and dark brown should be avoided at all costs. Kit wise the list of what you should carry is greater. Number one is map and compass, even if you have a functioning GPS or the OS App on your phone. My phone has died so many times in winter due to cold. Those things are fine for quick reference but If you don’t know where you are on the map and the mist rolls in, you could be in big trouble. Taking spare gloves, waterproof gloves, Water or windproof jacket and trousers, goggles if it’s due to snow, survival bag, head torch even if you are going out in the morning, full set of base layers. Because I did so much of the running/ climbing on my own, I needed to be sure that if the worst happened and I had an accident that stopped me from getting off the hill in a place with no reception, I would be able to spend a night out maybe not comfortably, but definitely safely. You can go slightly more lightweight if there are two of you. If you are up to speed with your kit, plan carefully around the forecast the very best days out on the mountain can be had in winter. And don’t be fooled by the relatively low height of the Lakeland Fells. Conditions on the top on a stormy winters day can be as bad as anything anywhere. 9) It’s good to get family involved in fell walking/running. 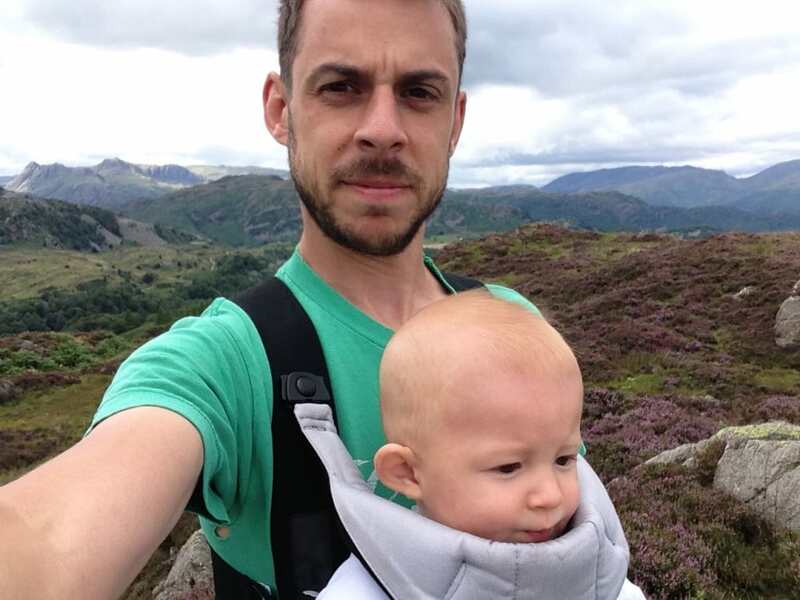 Which wainwrights would you recommend for families/kids? 10) You were also competing in ultra-races, so the hills must have been an important part of your training? I’ve always just looked at it as good strength training for ultras yeah, but big days out on the hills have at times affected training a little in terms of consistency! 11) How did you feel when you finished? Is there a void or are you quite content? Both. Because it’s a relatively small area I sat on top of High Hartsopp Dodd the final one and looked out across most of it on the Sunday evening and felt both sad and happy I’d visited all those fells. 12) The all-important question, what’s next? 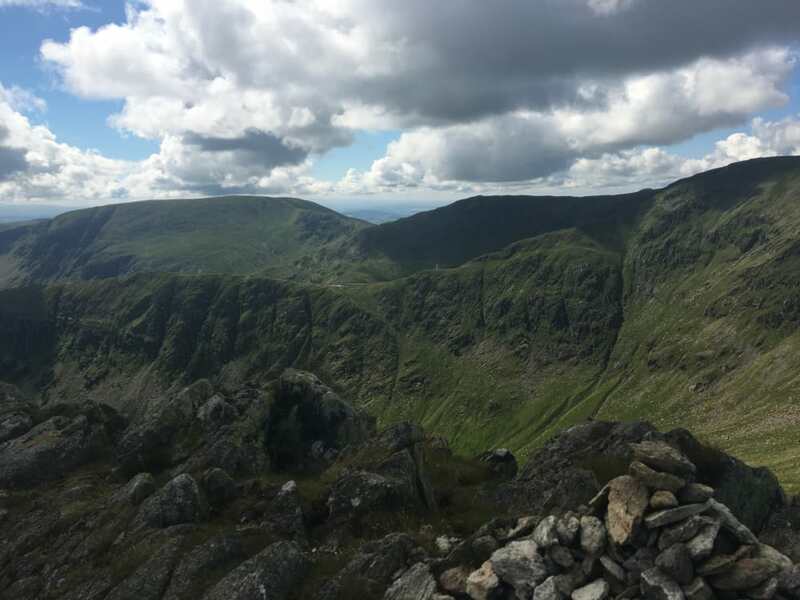 I will keep going back to the Lakes, but next in terms of similar hill/ mountain challenges is Wales and the Paddy Buckley (welsh equivalent of the BG). I’d like to give it a go in time, once I know the route well enough. 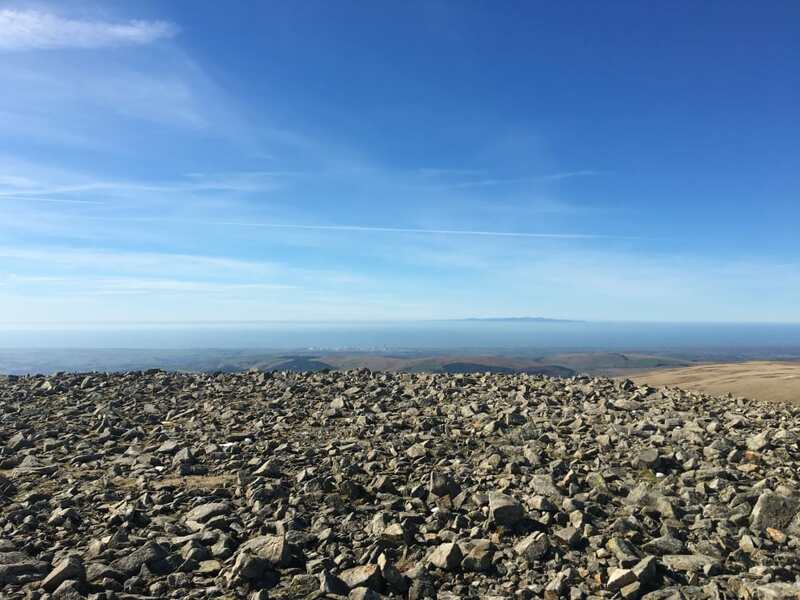 Last weekend I found my way over the summit of my 214th and final Wainwright. Over the last few days I've lain in bed at night and thought about all those hills before drifting off in to a deep sleep. I guess that's where you start to realise that what you had there was absolutely an obsession and not just a hobby. Sat on top of the last one, High Hartsopp Dodd, looking across the Lake District was a good feeling, but also a sad one. That being said there are of course, many more mountains to be climbed. Perhaps beecause the Lakes is such a small area and you can see most of it from the higher summits, that feeling of completeness is easier to find here. In no particular order, here are some of my favourite pictures with small anecdotes listed underneath. I hope that it at least conveys even a tiny part of why this area is so special. The Path from Sail Pass taken from Scar Crags, towards Sail Summit in Mid-April. 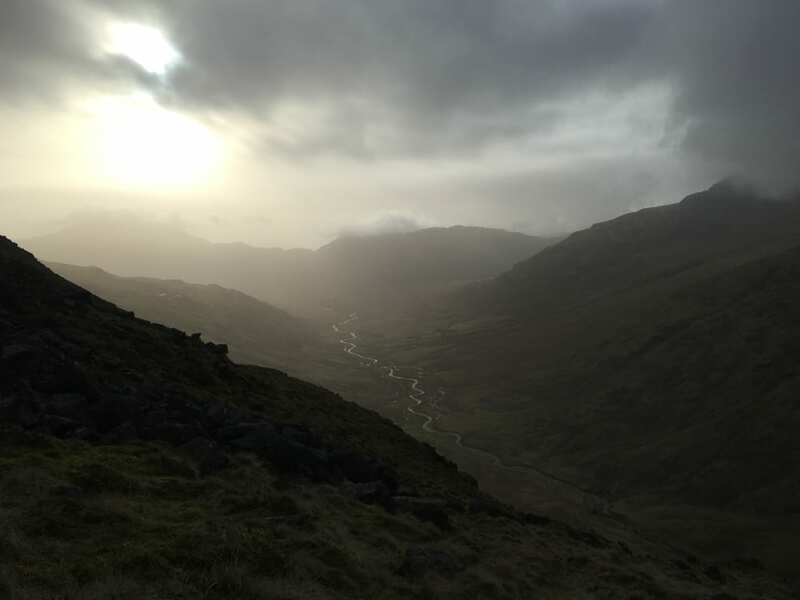 This is a truly exceptional area of the North Western Fells. 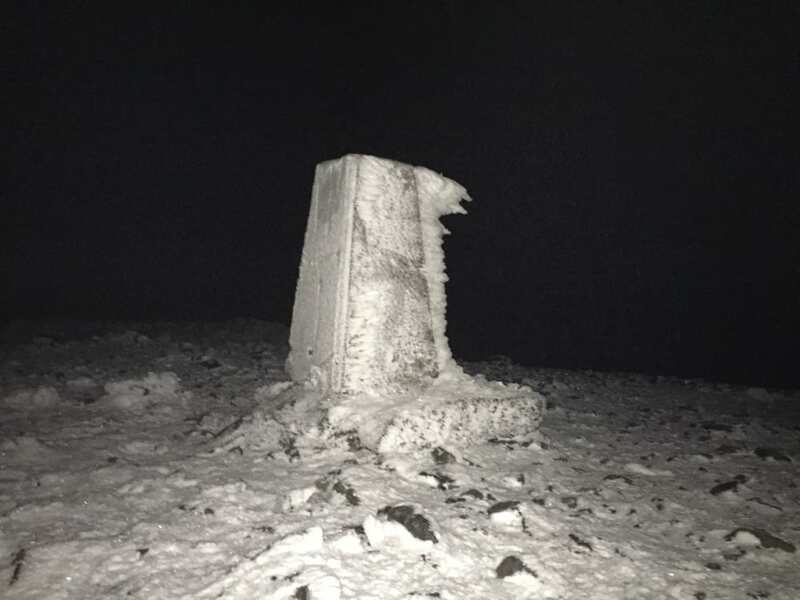 Skiddaw summit trig point on a November night. Temperature -10C. Absolutley still and with snow thick and ice crusted enabling us to run off of the summit to Bakestall top in spikes as smoothly as if we were on a tarmac road. A magical night. Out of the sunlight in to the darkness, up the western ridge of Great Borne on a stellar day out in February. 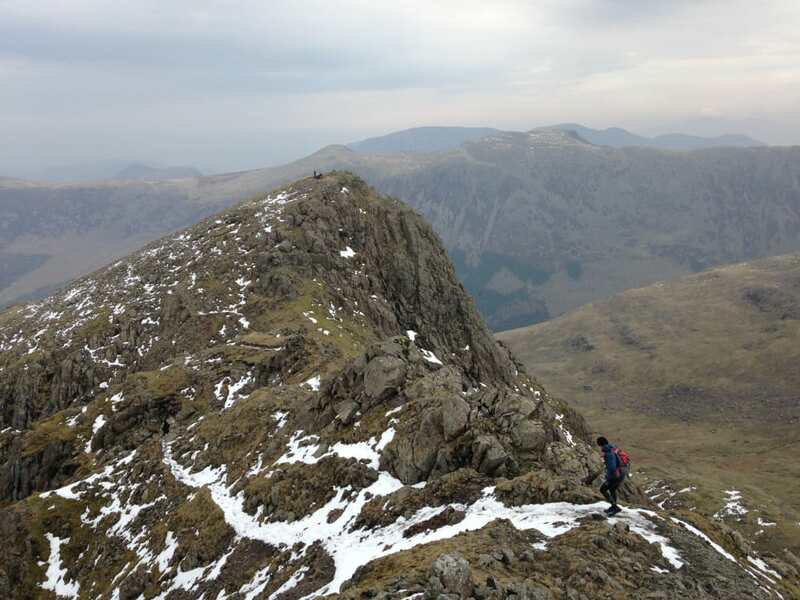 Drew cresting the summit of Seathwaite Fell with Glaramara in the background. April 2015. The 2017 season is upon us and as per each of the previous four years we kick off with the South Downs Way 50. 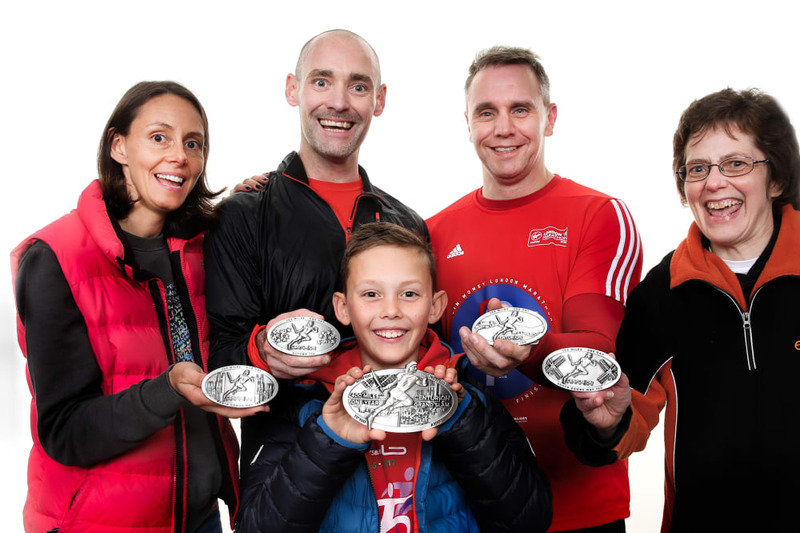 Now in its 5th year we expect a record starting field of 400 runners to descend on Worthing College at 0900 on Saturday 8th April, all hoping to successfully complete the journey of 50 miles point to point on foot across the South Downs Way to the finish line at Eastbourne Sports Park Athletics Track. This event has typically attracted fast fields and has made for exciting racing. As the UK scene continues to grow we see more and more talent emerging, but also some of our longer standing runners improving their own training and racing through experience and putting themselves in the mix for the overall positions by virtue of their hard work. The overall course record held by Victor Mound of 5:53 is an exceptional one, nobody has come within 18 minutes of that time. For the ladies, Edwina Suttons second attempt at the course in her 2014 victory in 7:09 is still the benchmark. A list of all finishers of this event and their times can be found in the new Stats area on our website here. Here is a run down of the likely lead contenders for this years event. 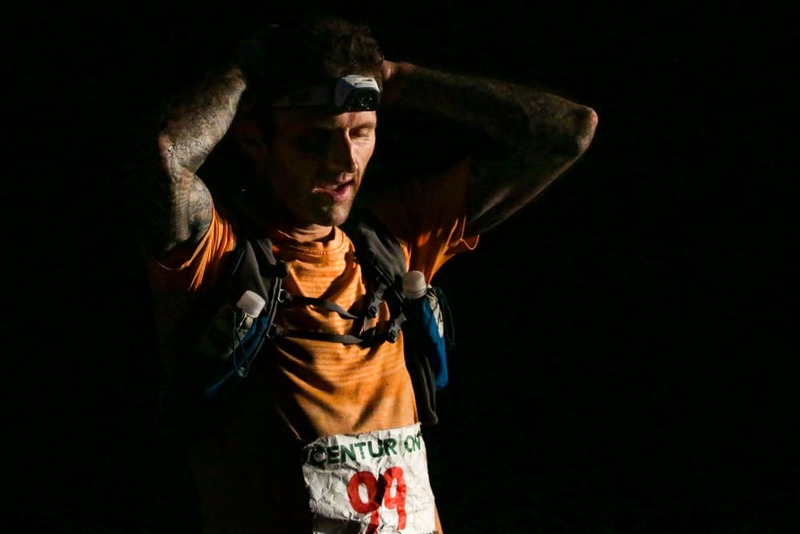 UPDATE Danny Kendall: Danny is one of our Centurion Ultra Team Runners and has an amazing pedigree in the sport. 7 Marathon Des Sables with a best of 5th overall. 3 UTMBs. And a host of other notable finishes including mutiple wins and course records all over the UK. He will add a huge amount of spice to the front of the field. Ian Hammett: Ian brings some good road pace to the trails and last year clocked up 2nd place in both our SDW100 and behing Jon in the CW50. He's also walked away with a win at The Wall and Stour Valley 100km in the past couple of years with other strong results around those. Certainly he should be competitive here. 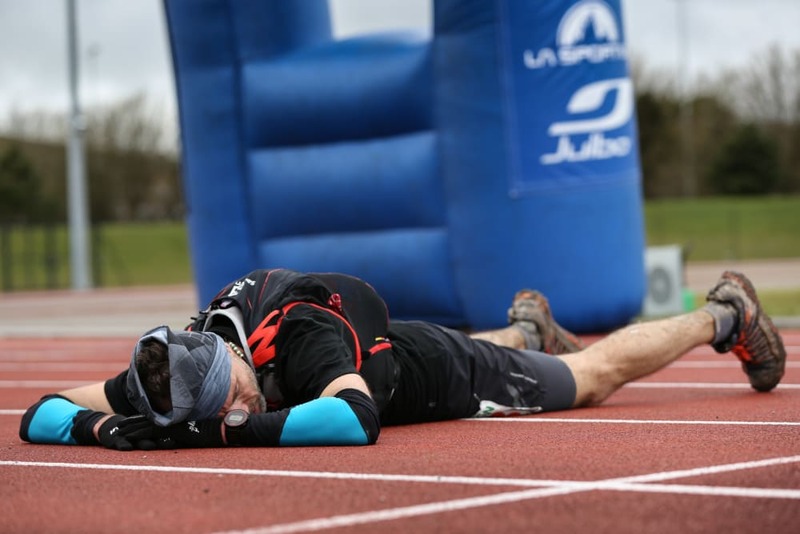 Paul Russhard: Paul is the guy many of you will remember from the NDW50 in 2016 who put everything on the line from the gun and went away at a pace we'd simply never seen before. His lead by mile 14 was well over a minute a mile and he continued to hammer until the proverbial wheels eventually did fall off but not until somewhere after the 50km point. He did also hang on for 3rd despite fading fast at the end. History shows how the gamble of going hard and hanging on has both paid off with incredible victories and results, but probably more often with epic explosions. Whatever the case Paul is a solid runner and if he decides to go with that tactic again it will make for exciting racing. Ry Webb: Ry came good in 2016 with a very strong NDW50 performance, eventually passing the above Paul for 2nd in a little over 7 hours. 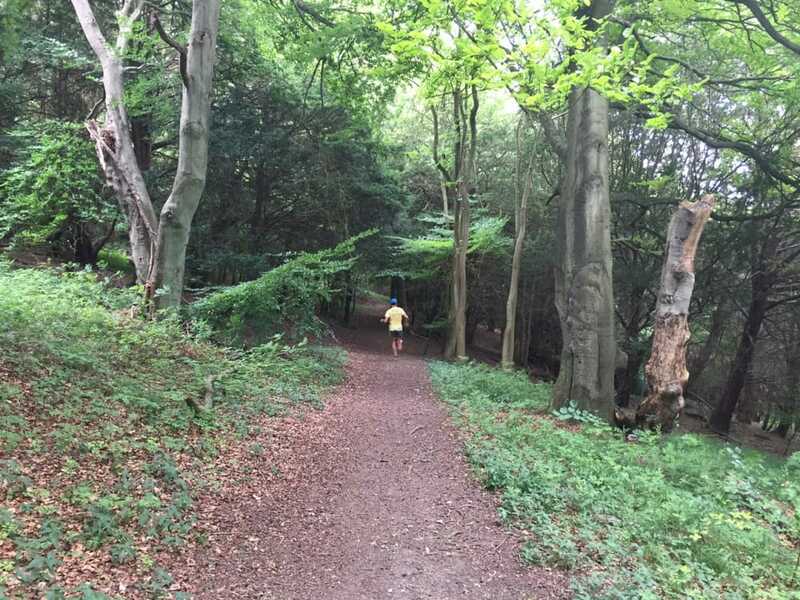 With a 5th at the NDW100 later last year he will certainly be looking good for a sub 7 hour on this course. 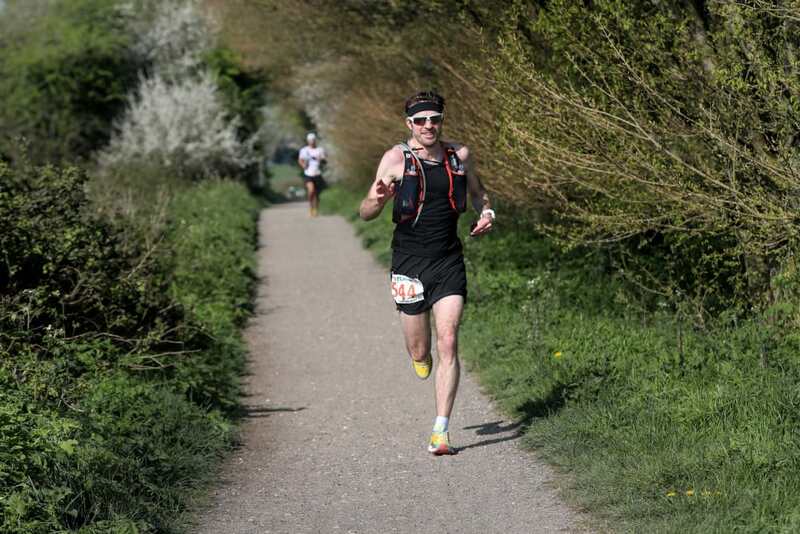 ADDITION: Mike Ellicock with a 2:31 Marathon PB at Berlin last year has the greatest speed in the field and comes in 'Downs Ready' with a win at the Moyleman trail marathon in early March. Thanks to Paul Navesey for the update. 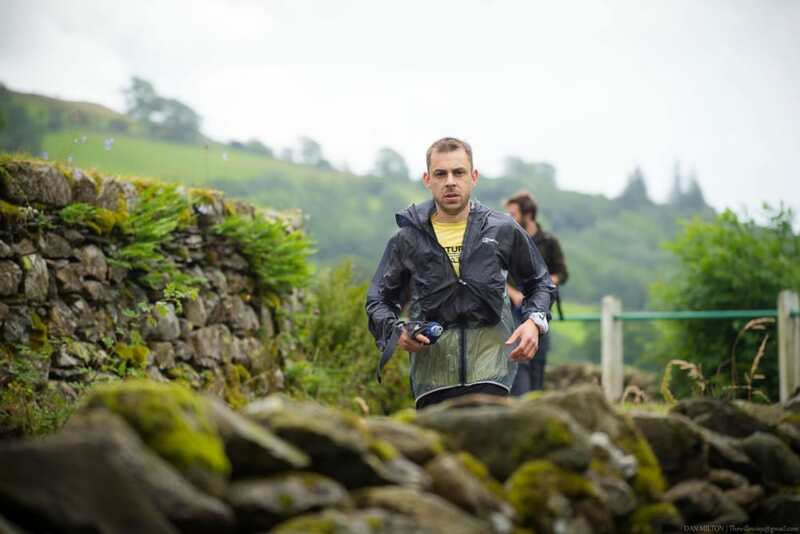 Other men with a good pedigree behind them and a very strong change at a top 10 place include Nick Greene (4th, 5th and 7th at this event before with a best of 7:03), David Barker (3rd at 2015 TP100, 4th at 2015 A100), Paul Grundy (3rd at Lakeland 50 in 2015), Luke Ashton (2nd 2015 SDW100), David Pryce (2nd TP100 2014). 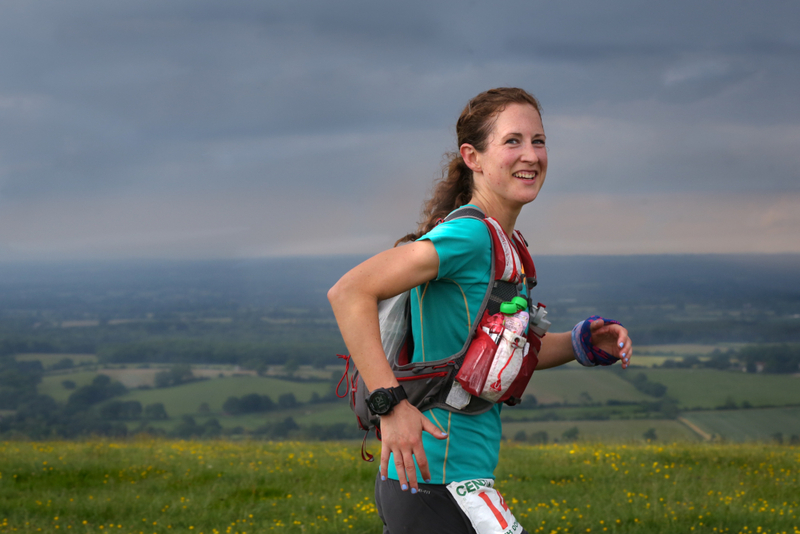 Amelia Watts: Amelia took home 2nd at the 2016 SDW50 and has four years of excellent results now behind her. 5th at the MDS, 1st at UTSW 60 and 4th at RTTS 100km led in to that 2nd last year. This year she's begun with a fine 15th at TGC. If she's rested and recovered in time she should be well in the top spots again here. Gemma Carter: Gemma may have the best previous SDW50 finish time of any lady in this years start field thanks to her 7:32 in 2014 for 3rd. Wins and podiums at lots of other short ultras in recent years put he in good stead to be competitive once again here. Michelle Blower: Michelle comes in to this one with a string of fine results behind her. 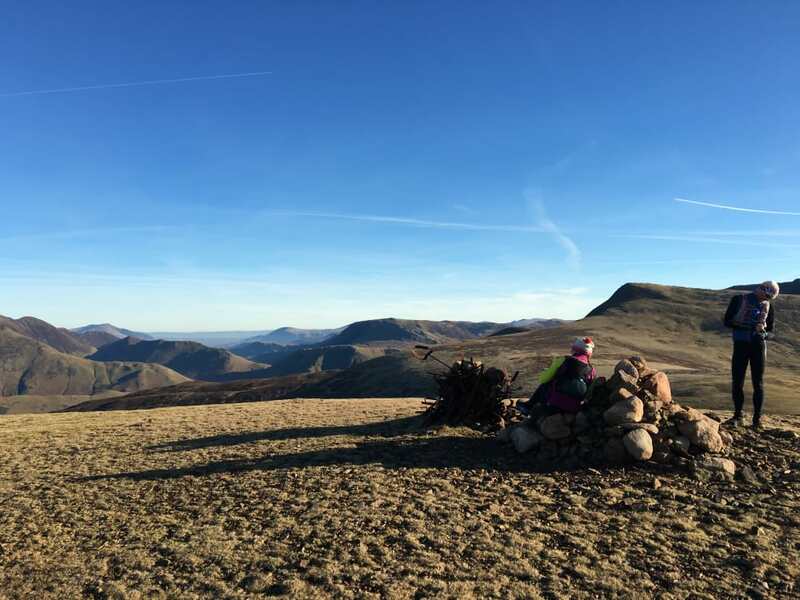 2nd at the Ridgeway and 3rd at the Beacons ultra in 2016 her most recent accolades. 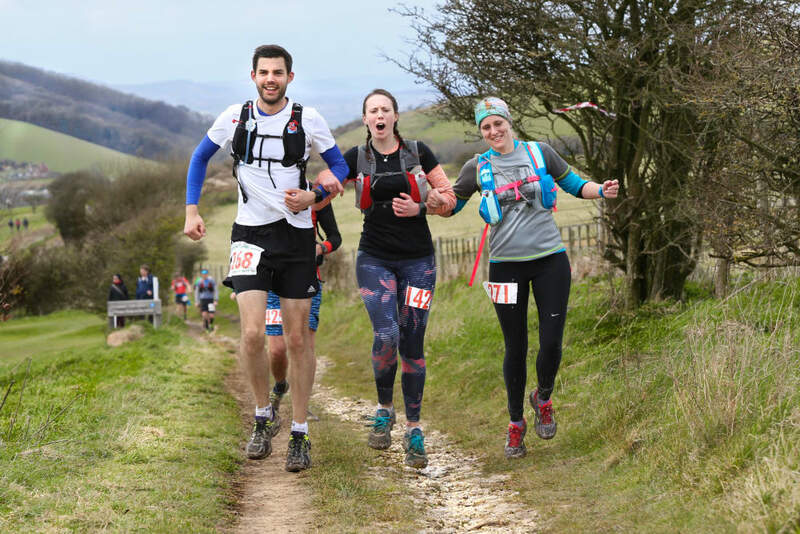 Other ladies who will be looking to challenge for the podium include Maree Jesson (Winner Cotswold Way Century, 4th Pilgrims Ultra) and Sarah Samme (6th SDW50 2016 and 3rd CW50 2016). A big welcome awaits all of our runners this year and particularly to this years field of Grand Slammers hoping to make it through all 4 50s in 2017.